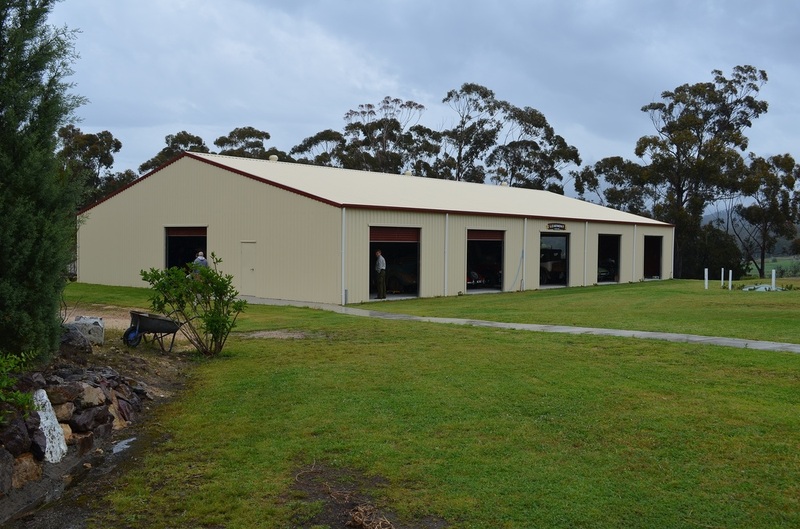 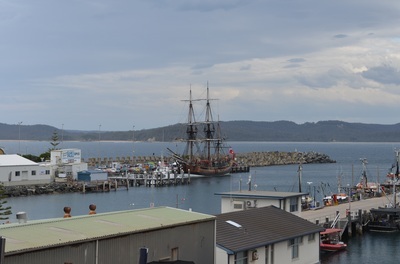 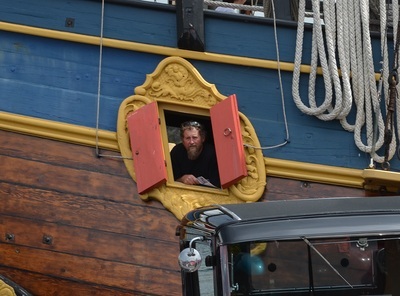 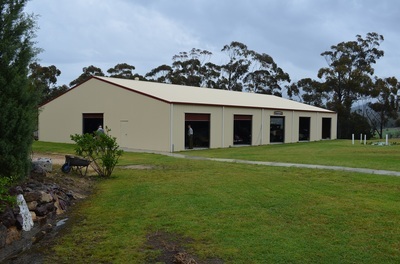 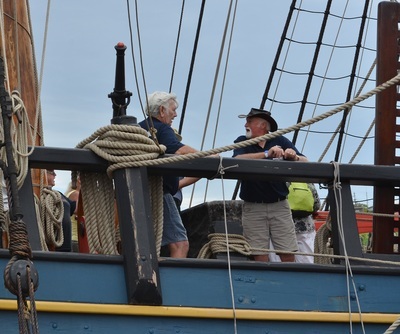 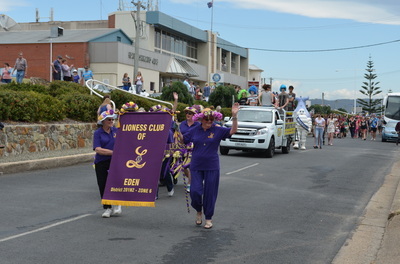 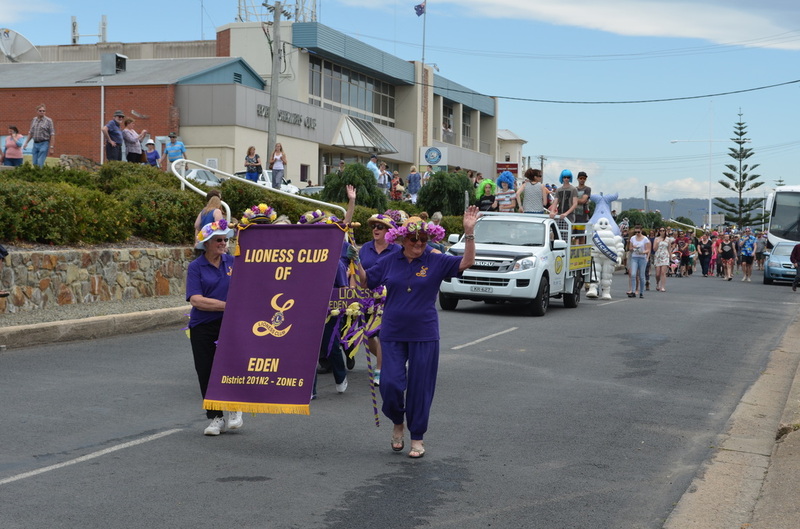 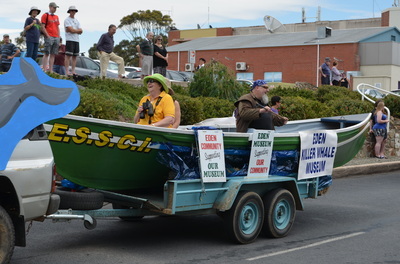 Another fantastic year at Eden where we were looked after well by the members of Shoalhaven Rodders. 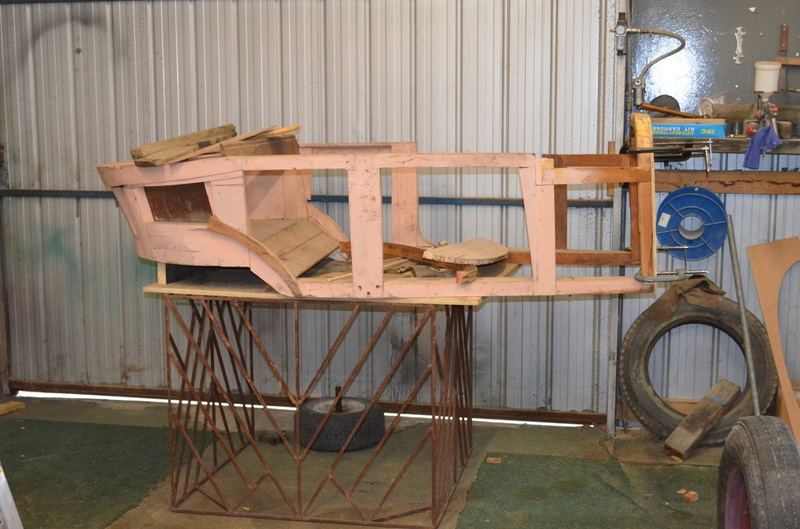 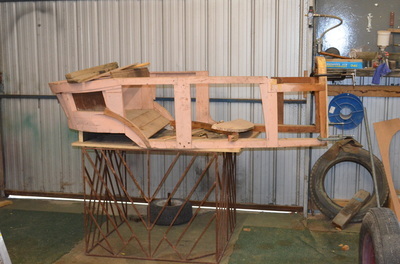 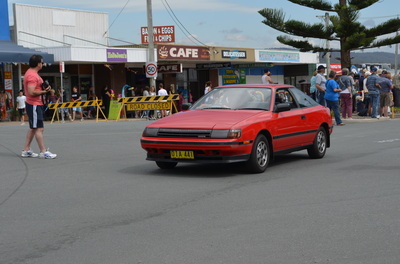 The run took the same format as previous years and there is no need to change anything because it is a winning formula. 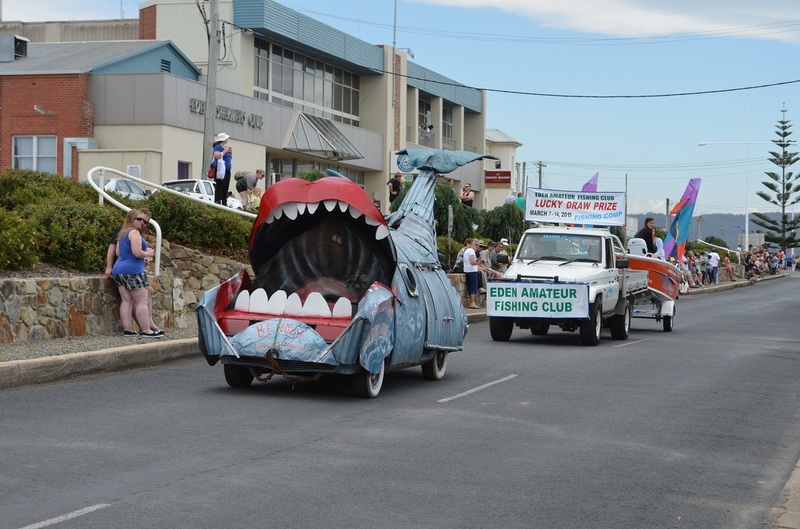 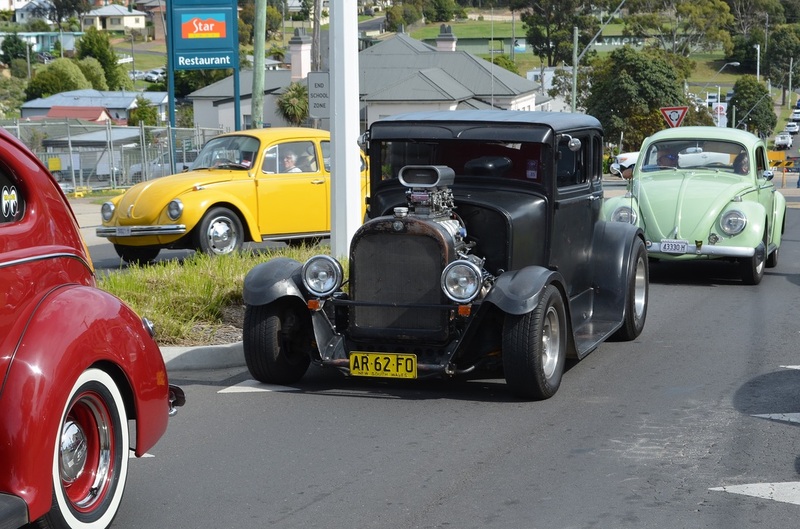 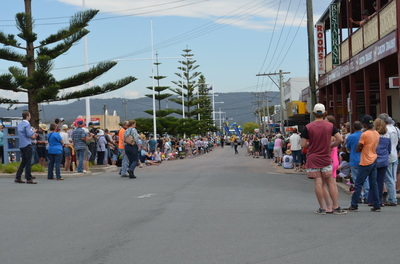 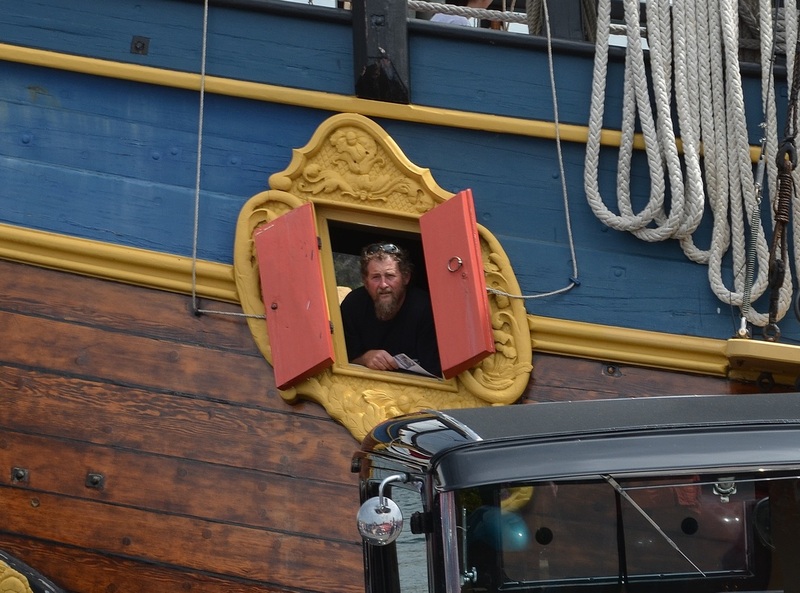 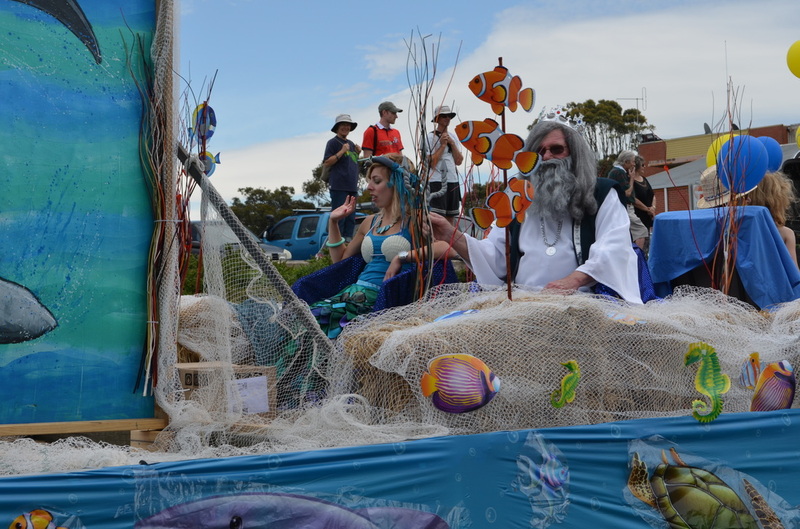 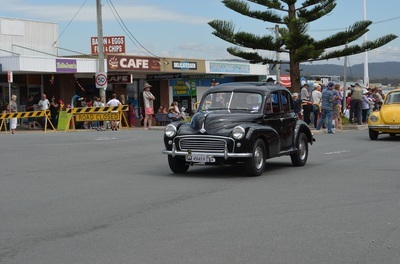 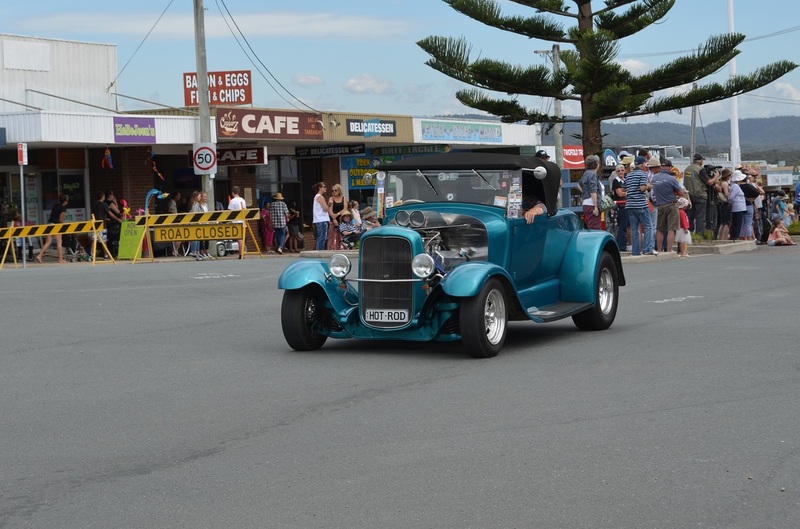 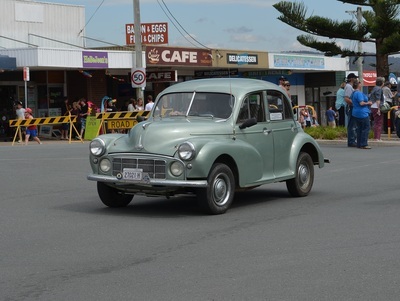 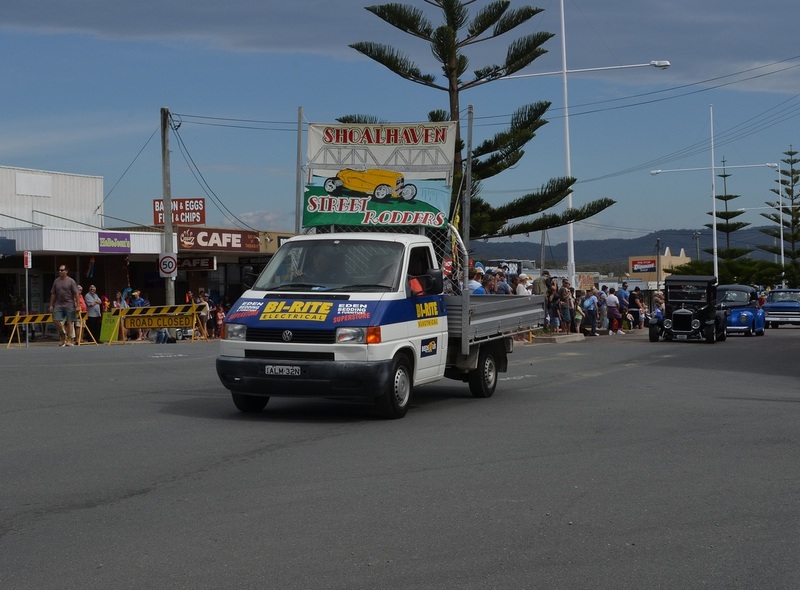 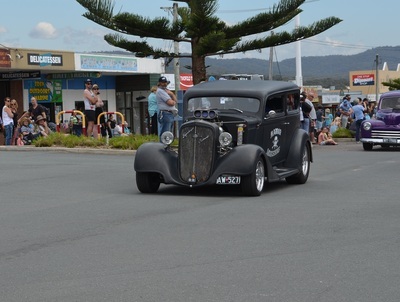 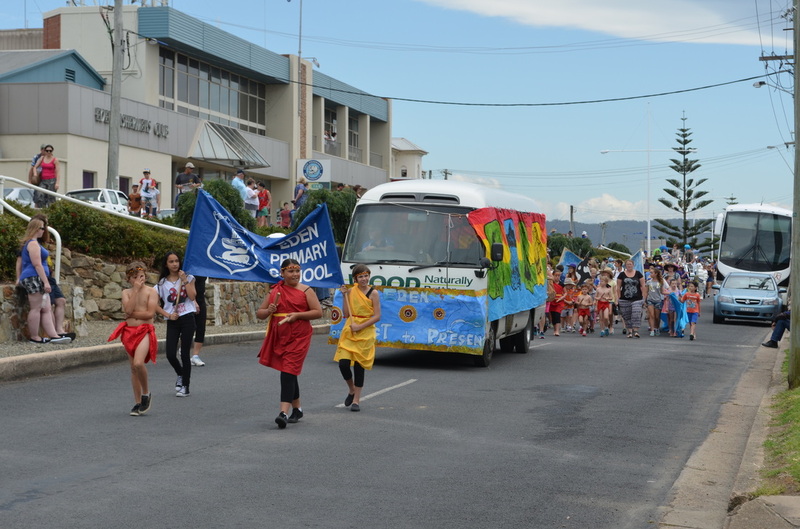 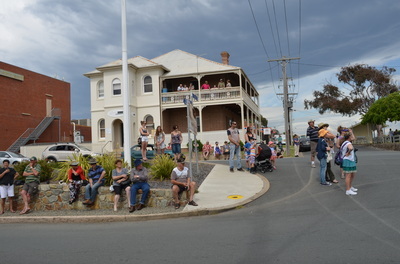 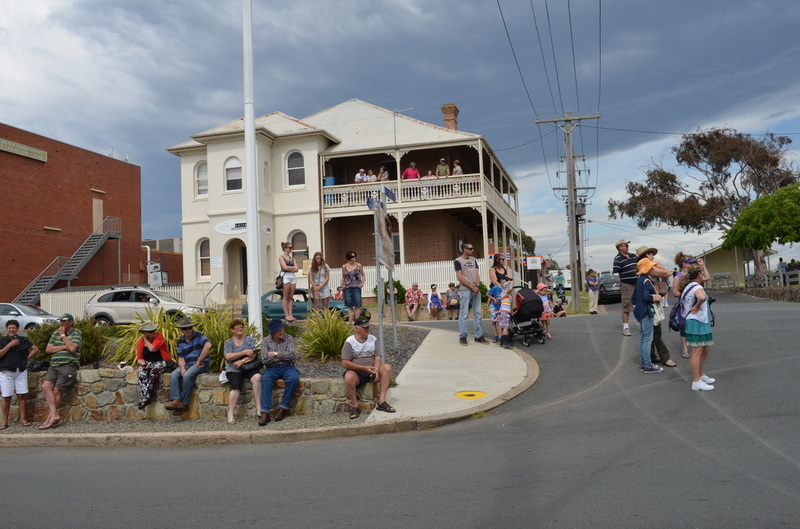 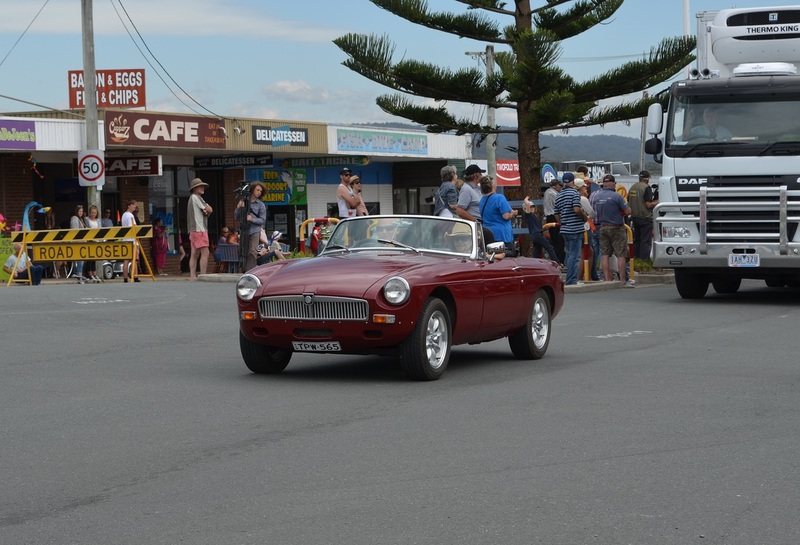 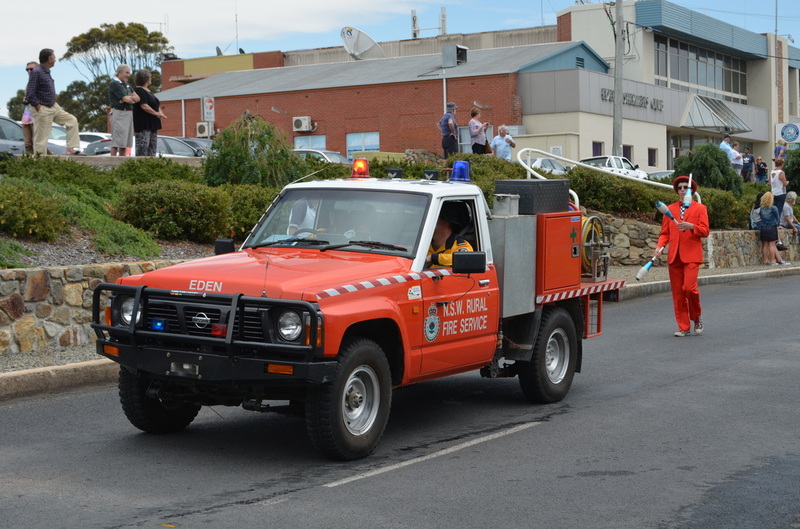 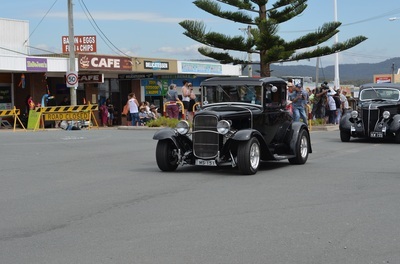 This years Street Parade saw a larger number of spectators than last year and our rods were parked at the completion of the parade in a much better location than in previous years. 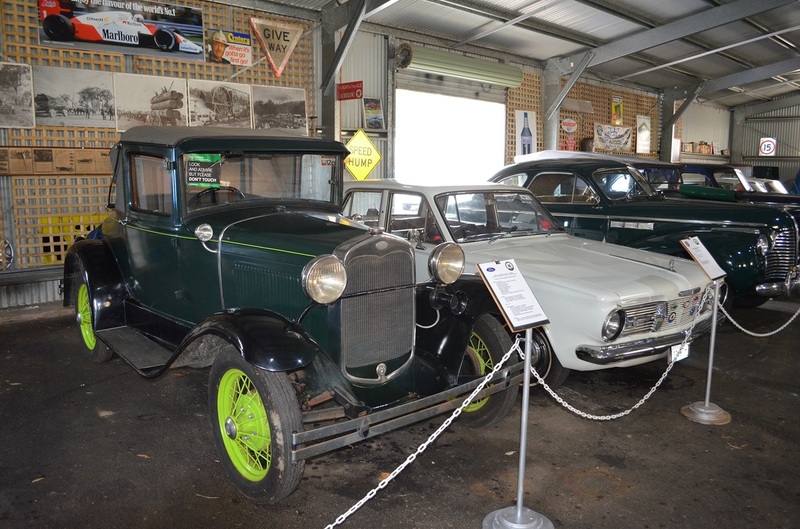 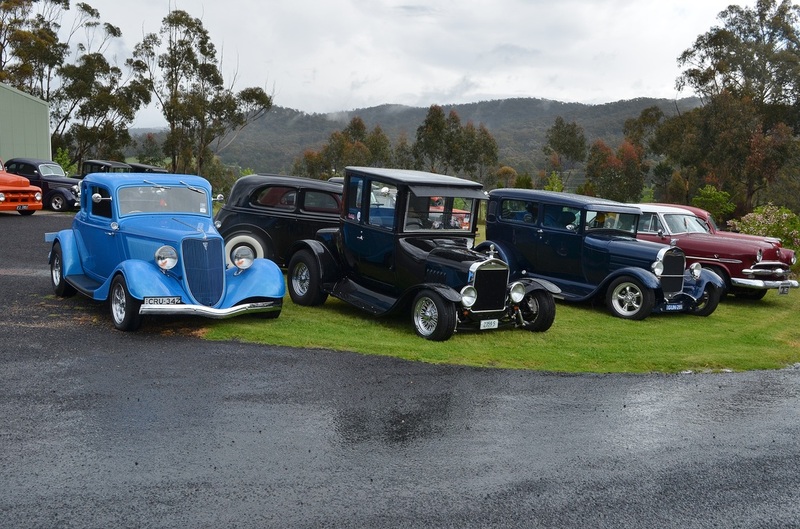 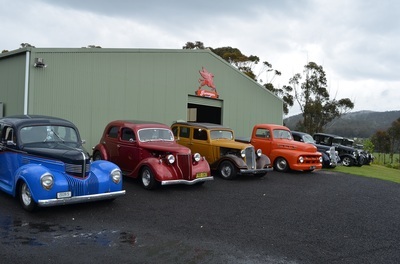 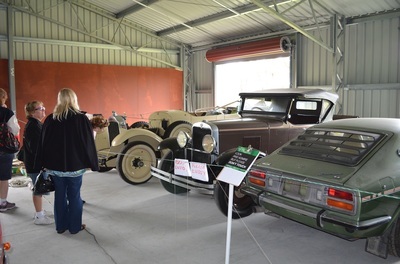 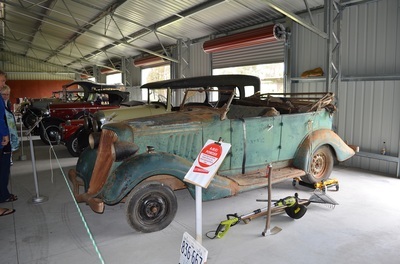 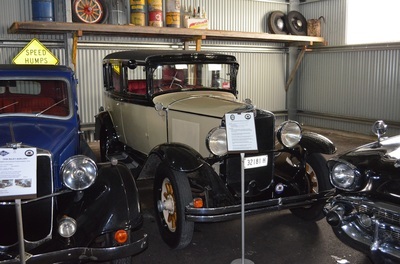 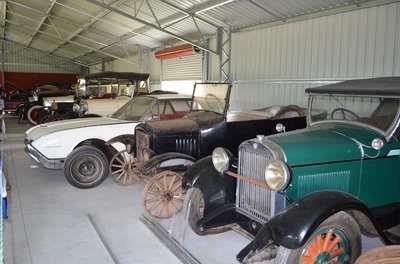 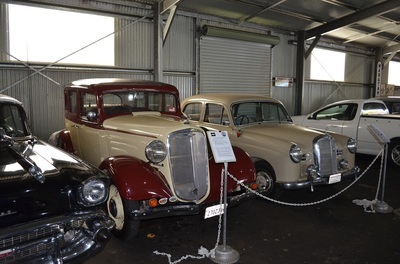 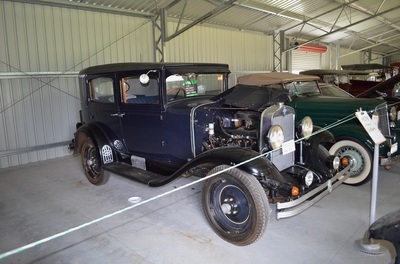 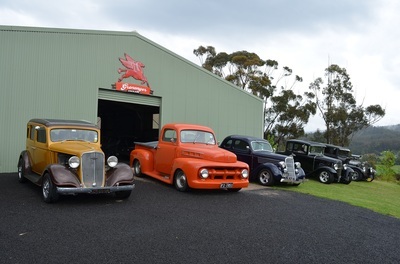 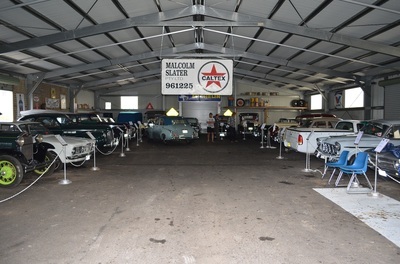 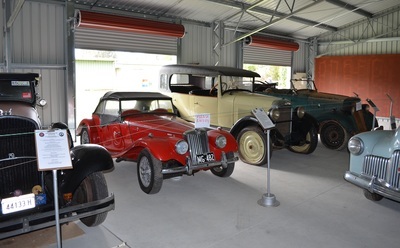 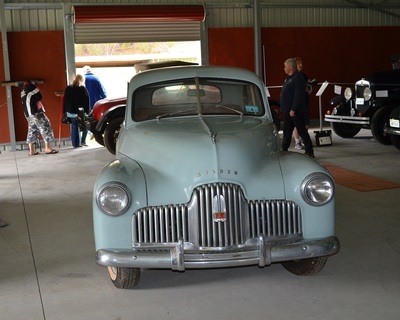 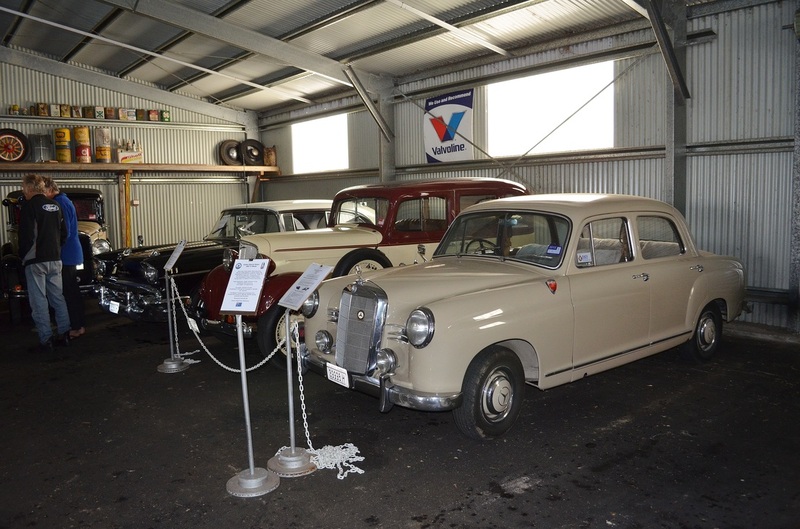 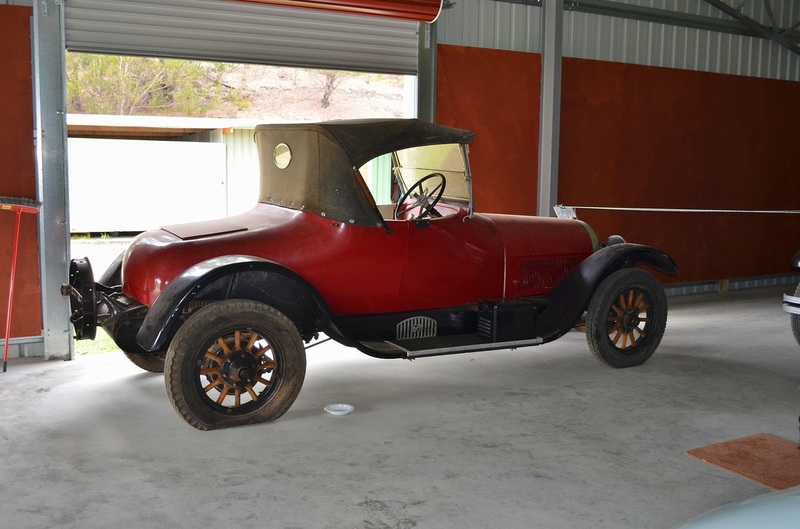 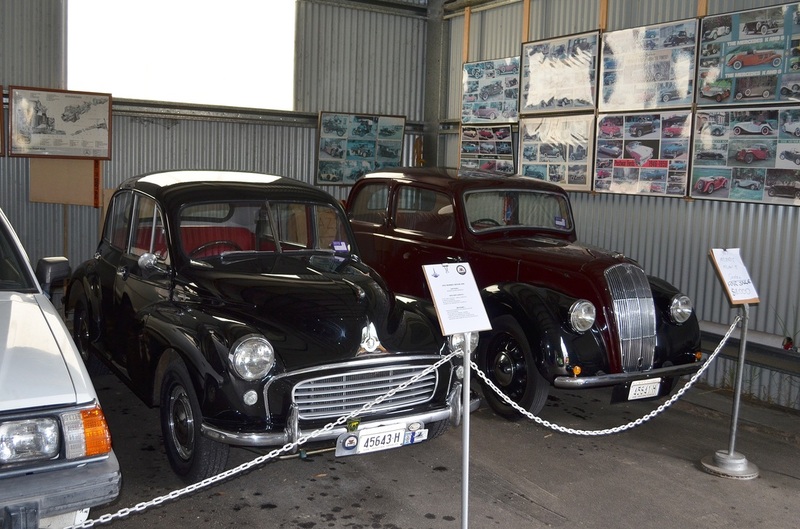 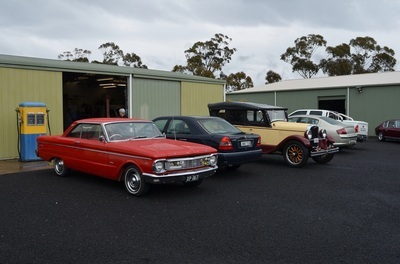 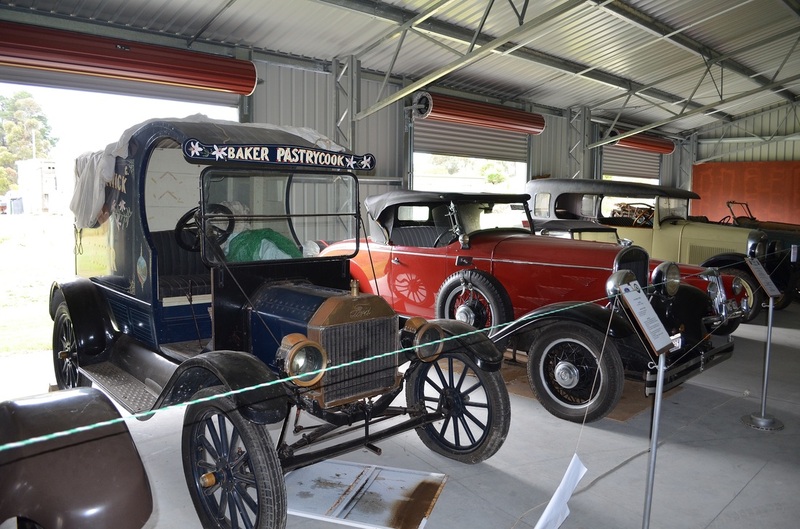 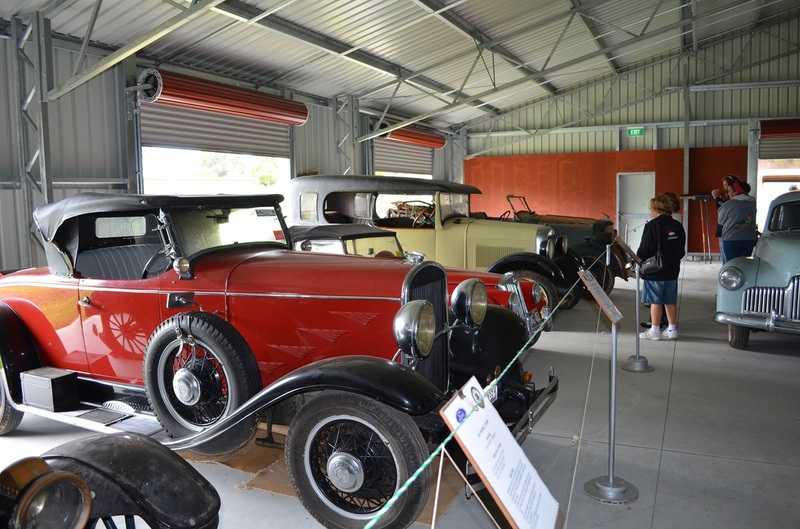 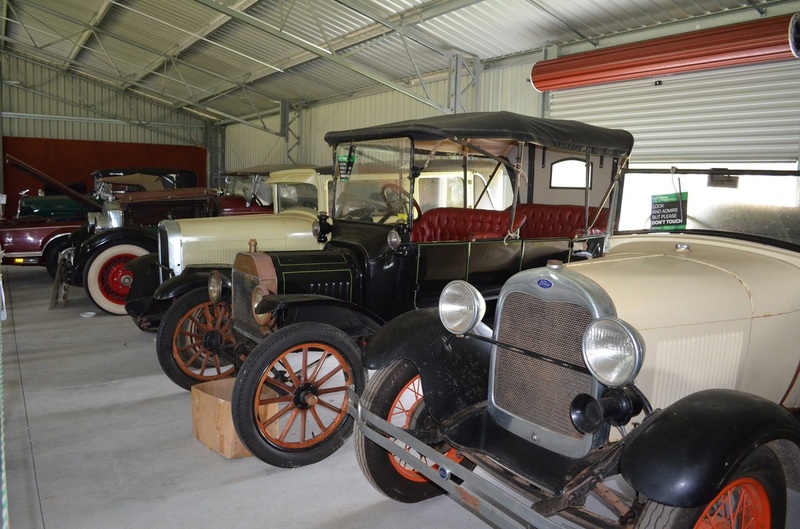 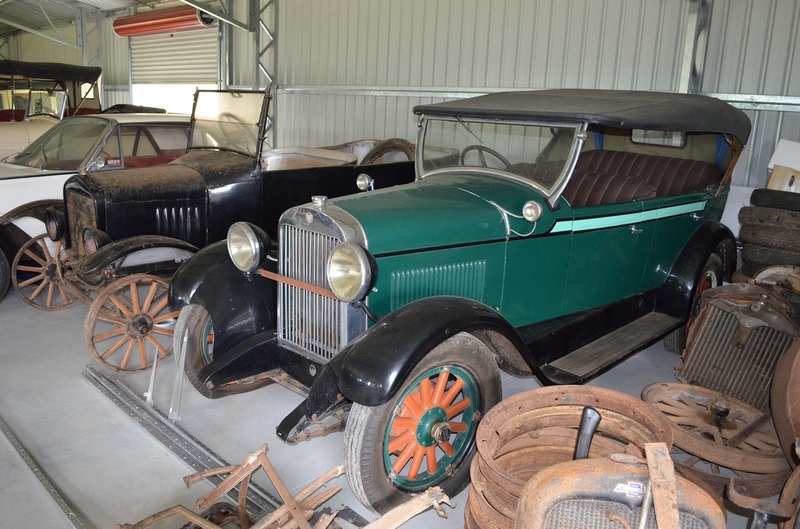 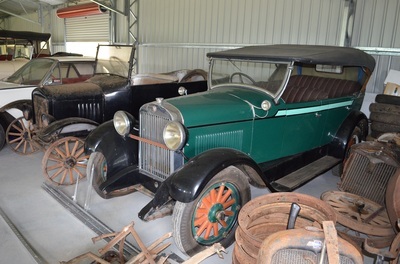 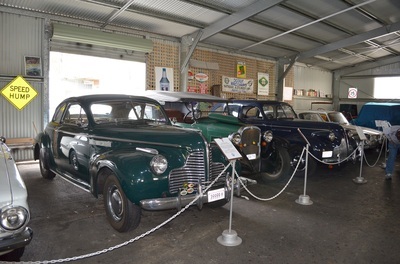 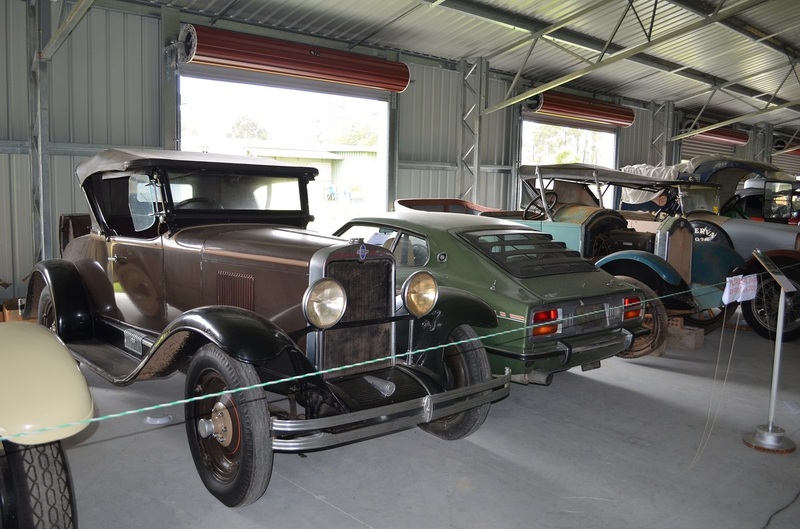 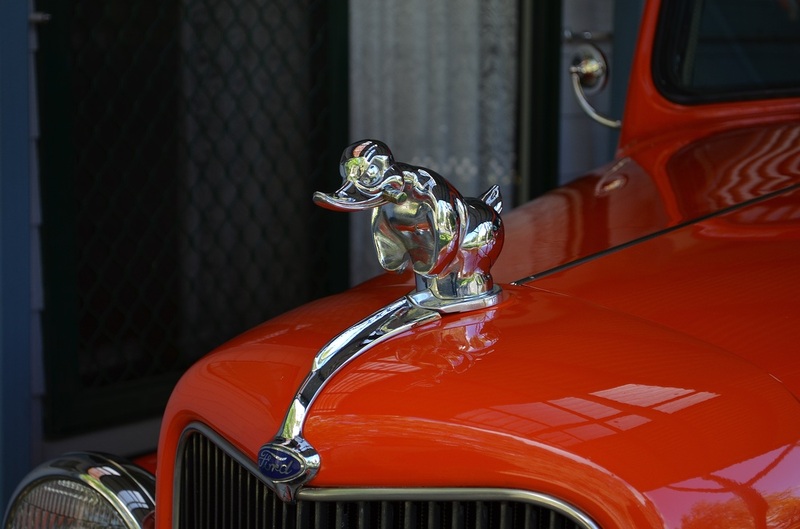 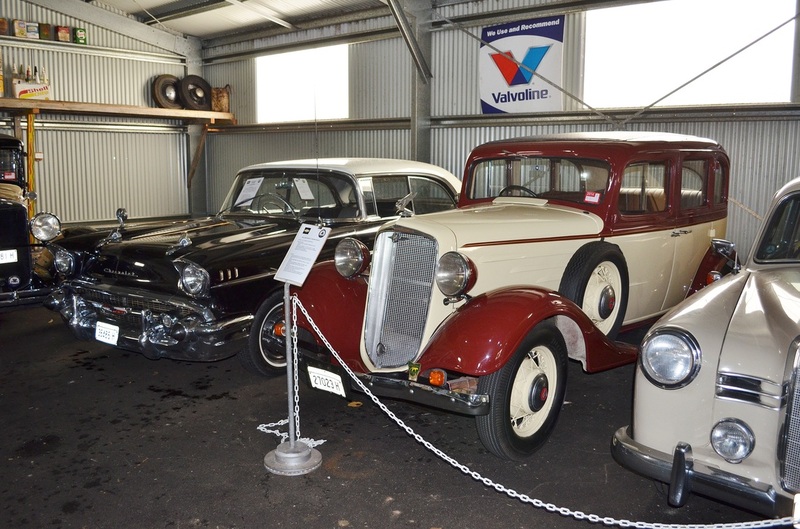 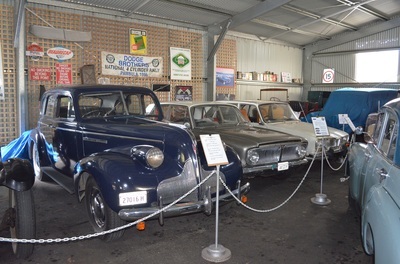 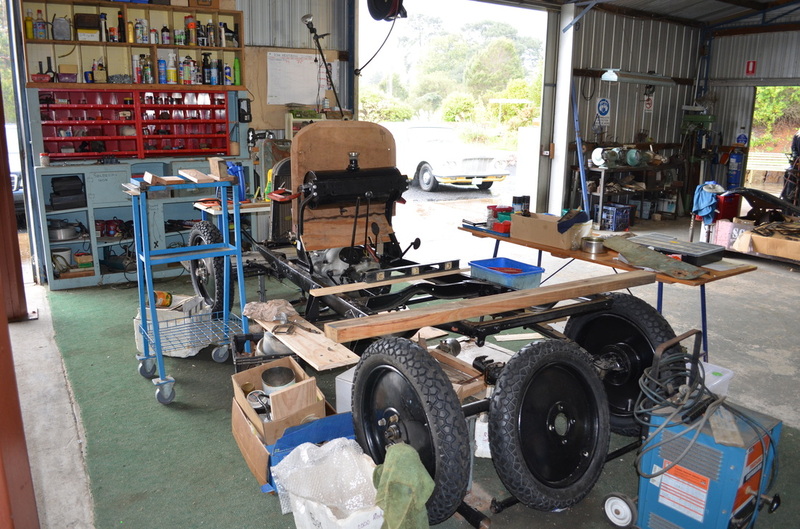 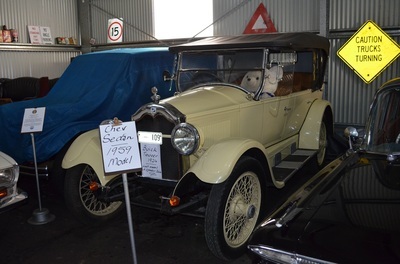 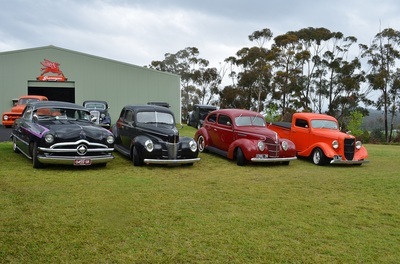 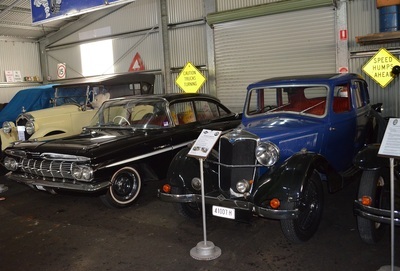 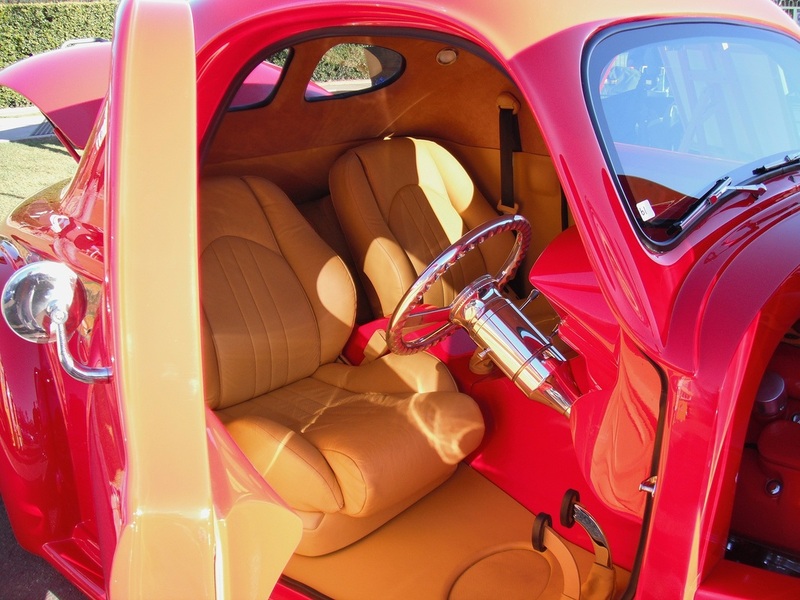 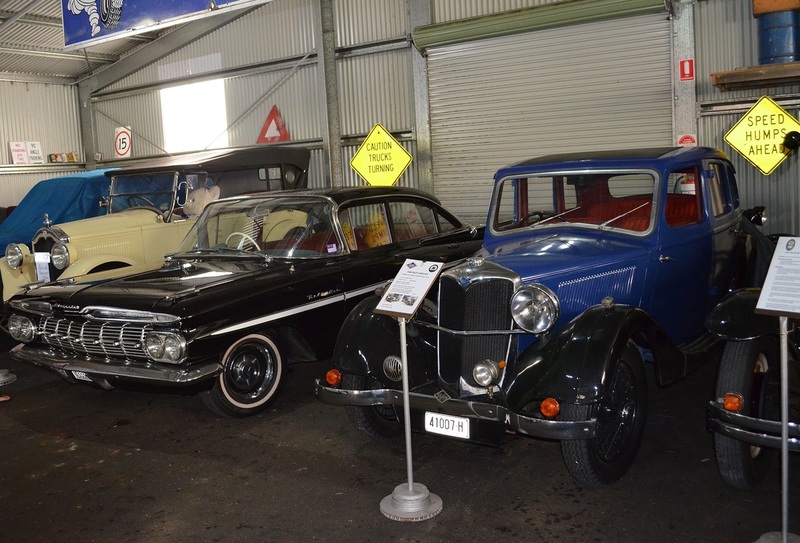 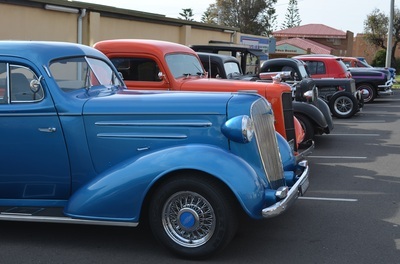 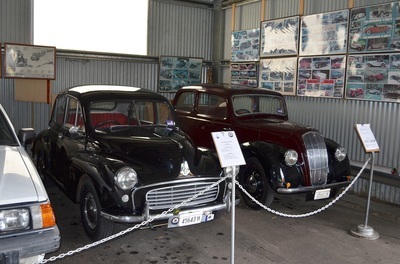 It was a pity that the weather turned nasty just after lunch and caused the cancellation of the event however by this time we had left and headed to the Vintage Car Club for another great afternoon tea. A very good meal at the pub that evening before partying on at the Caravan Park. 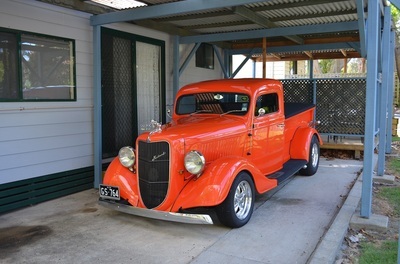 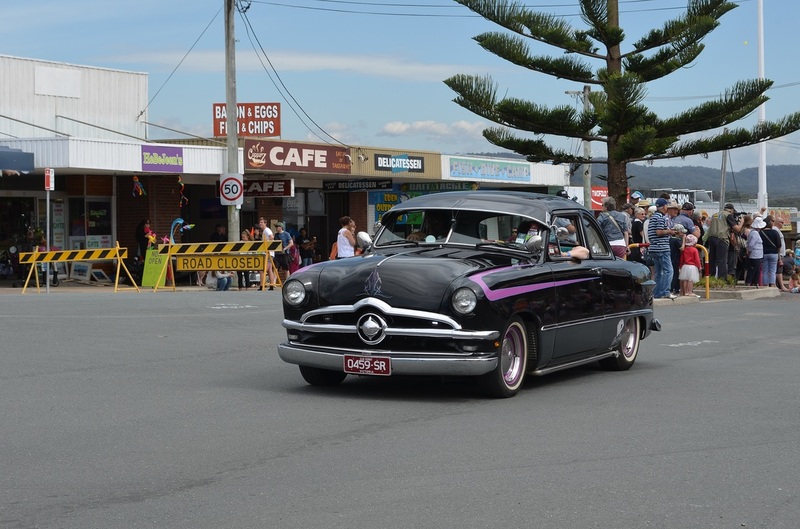 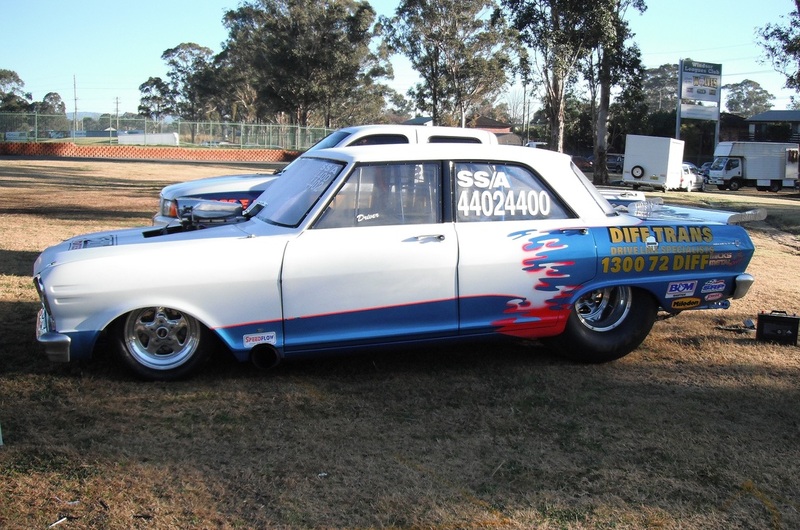 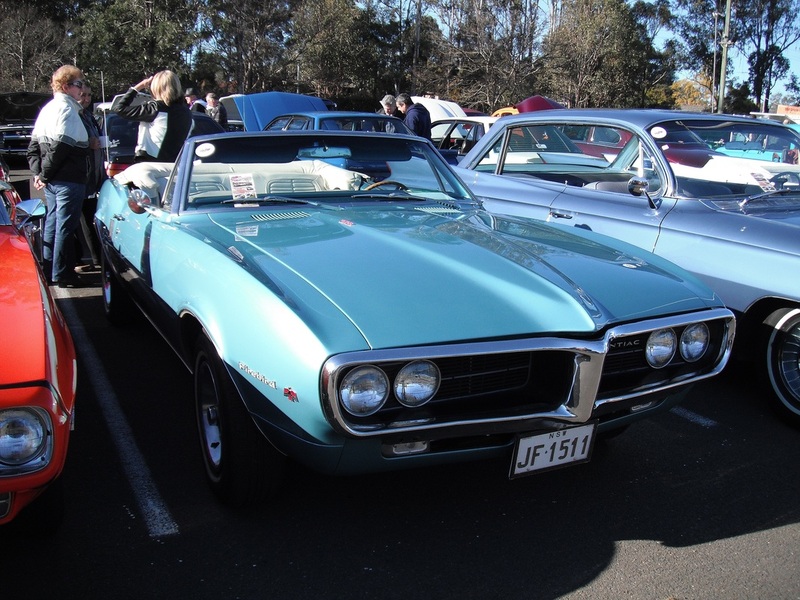 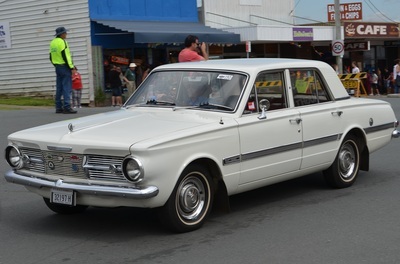 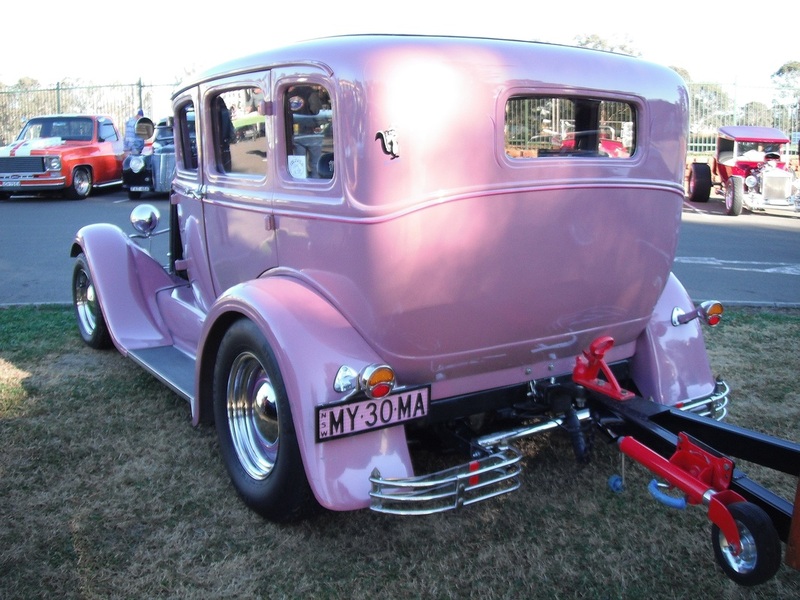 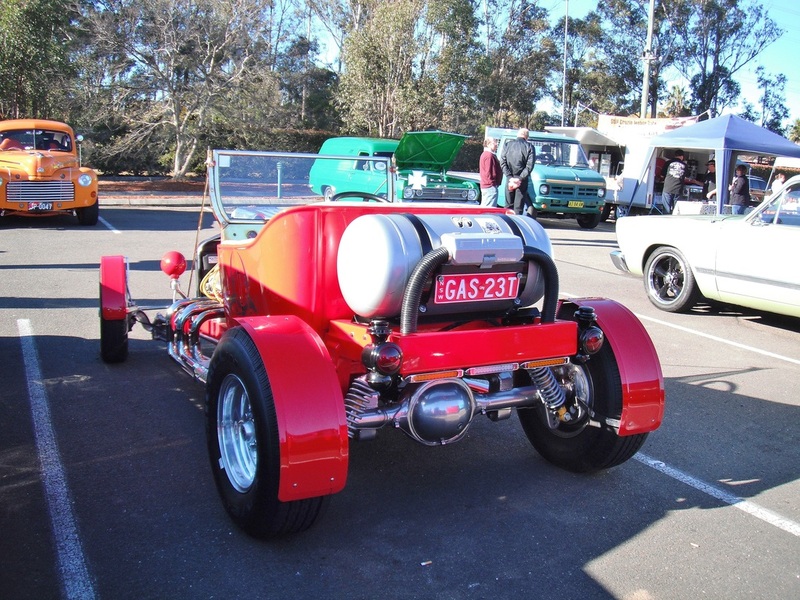 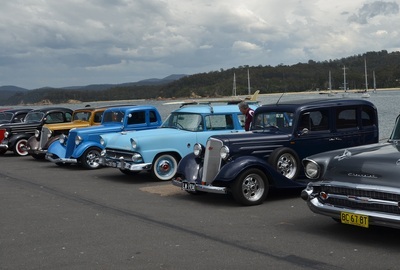 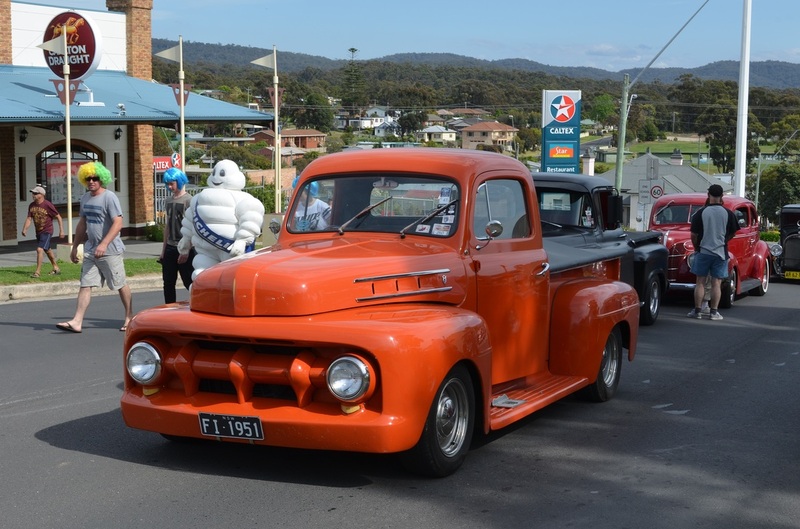 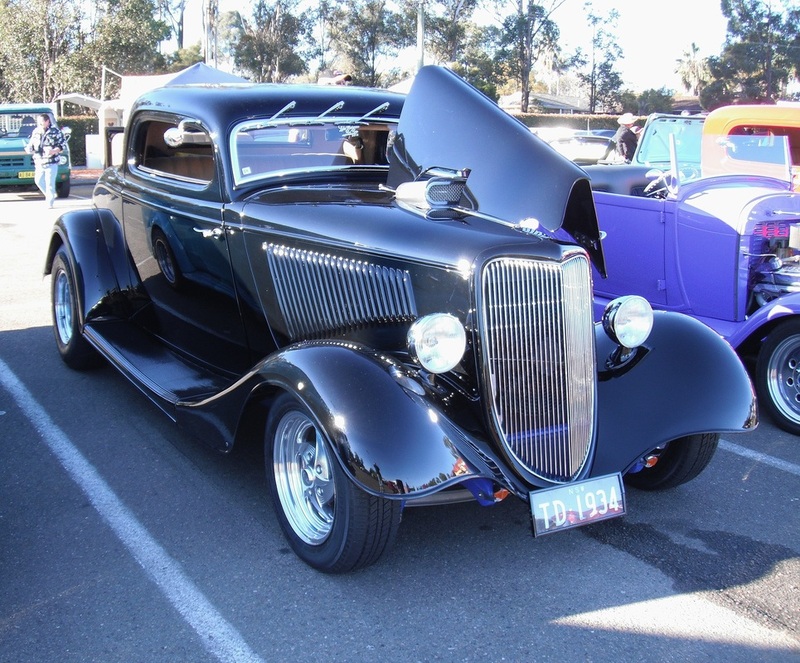 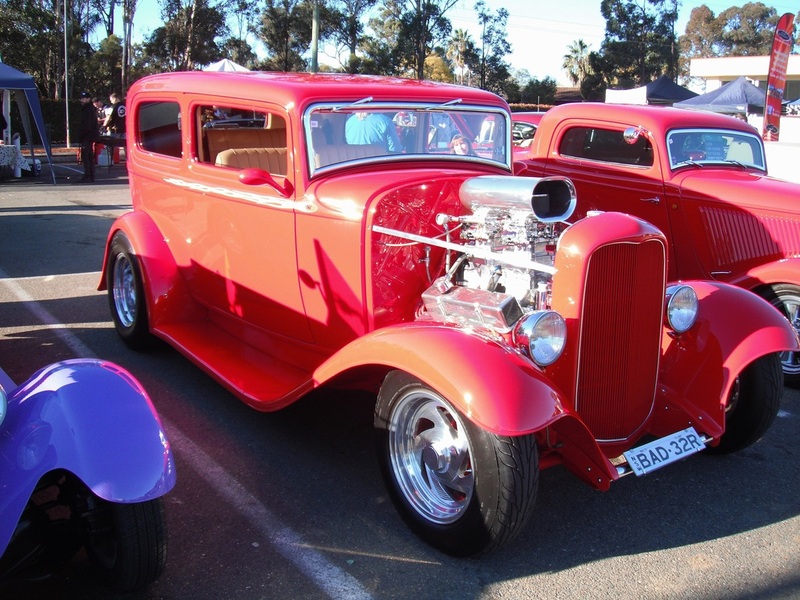 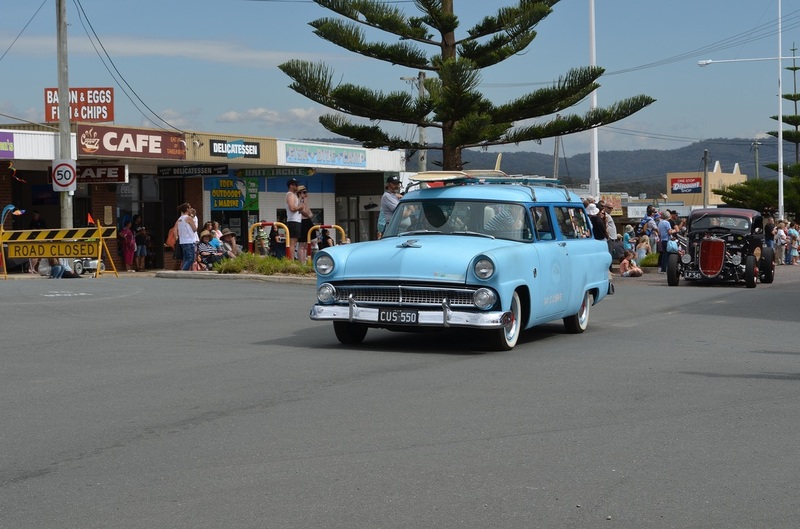 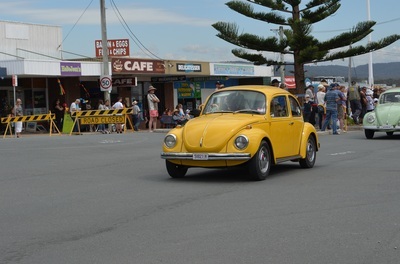 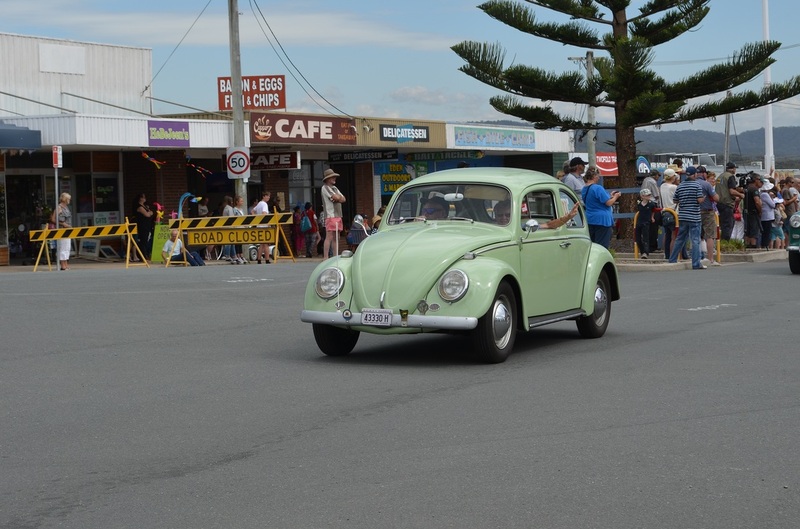 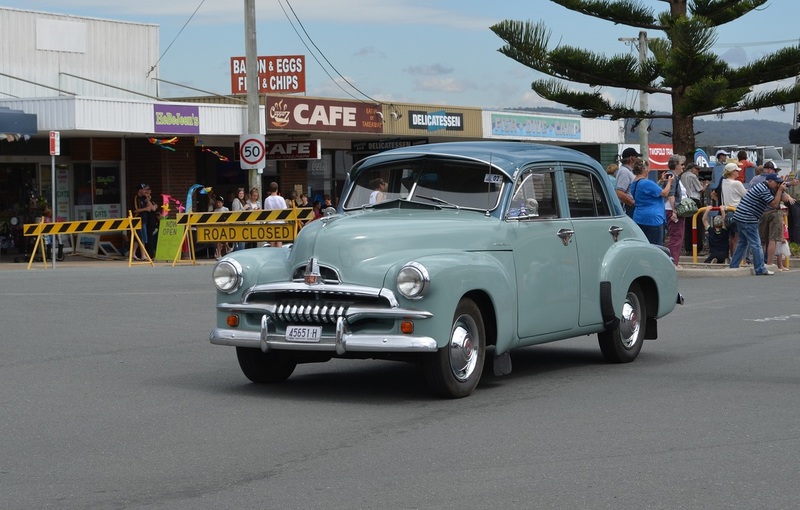 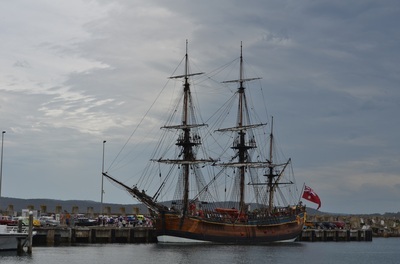 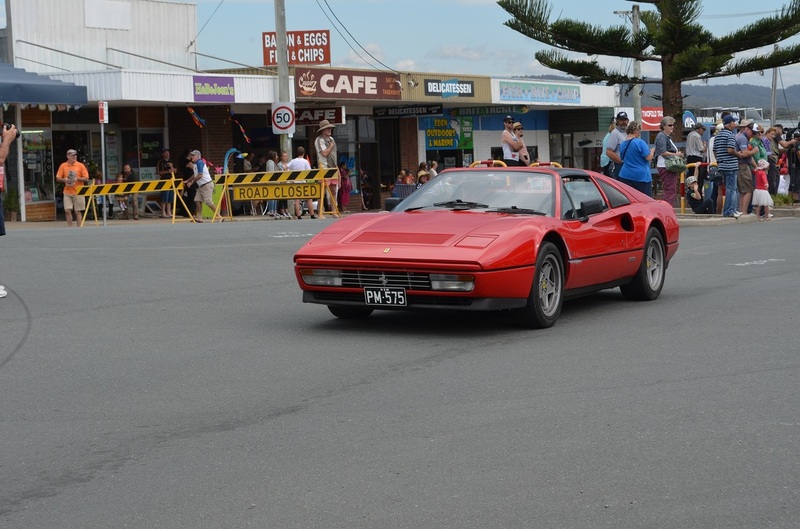 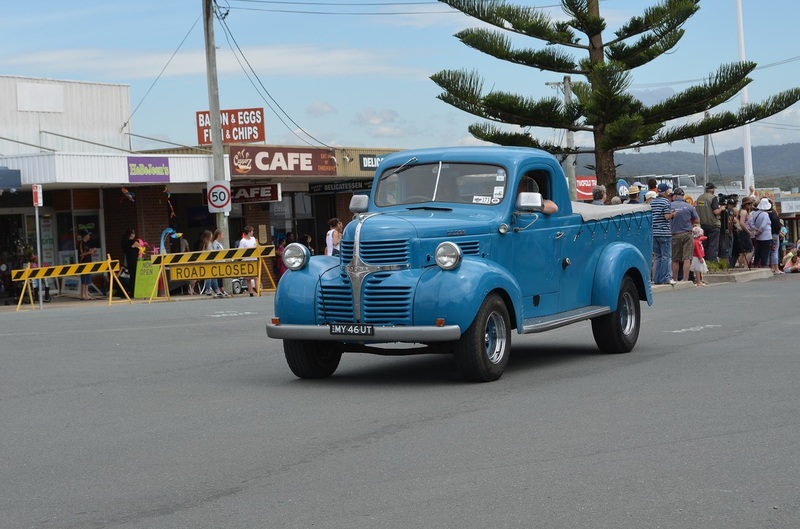 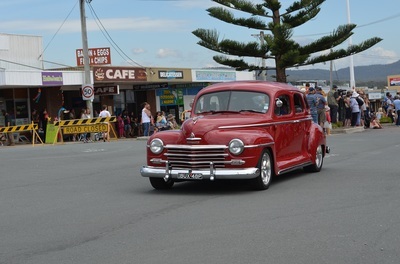 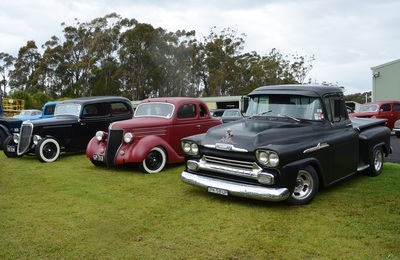 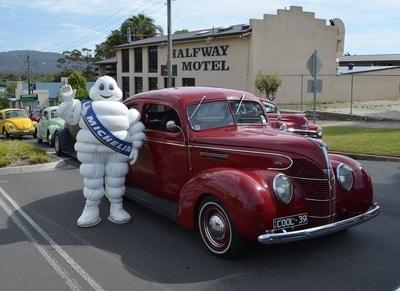 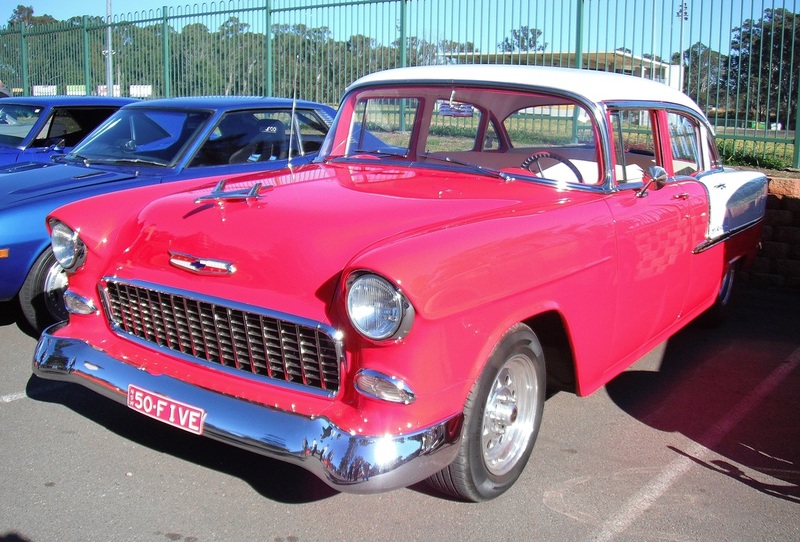 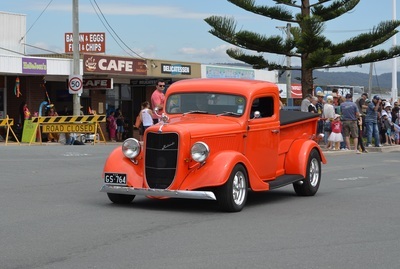 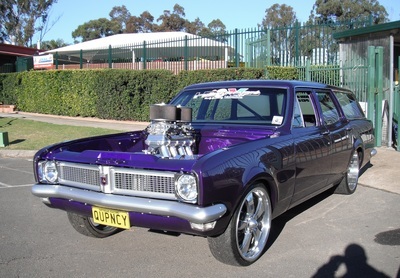 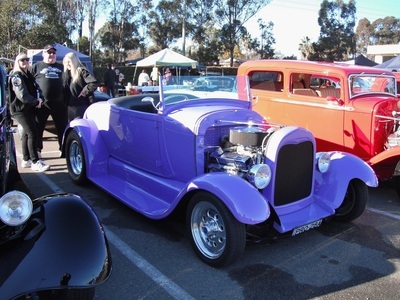 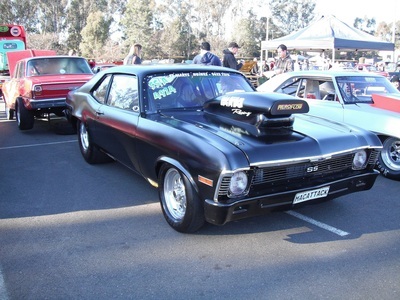 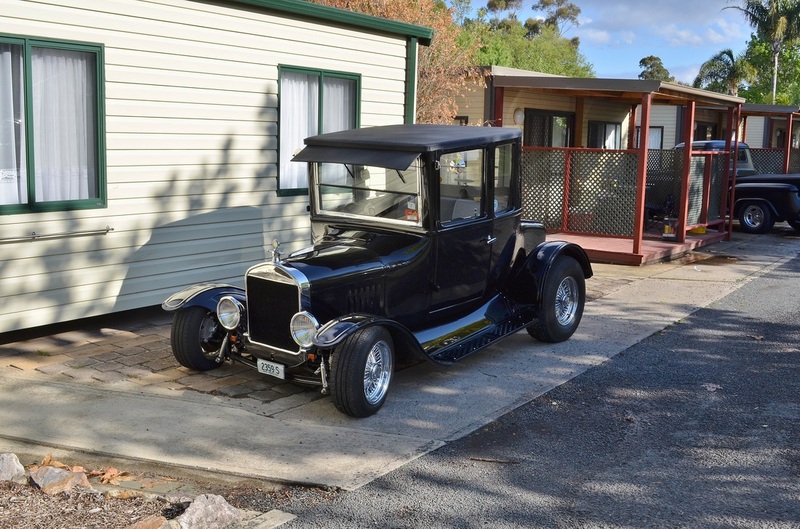 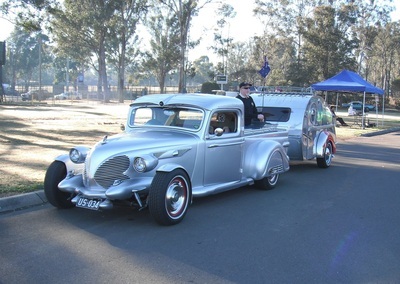 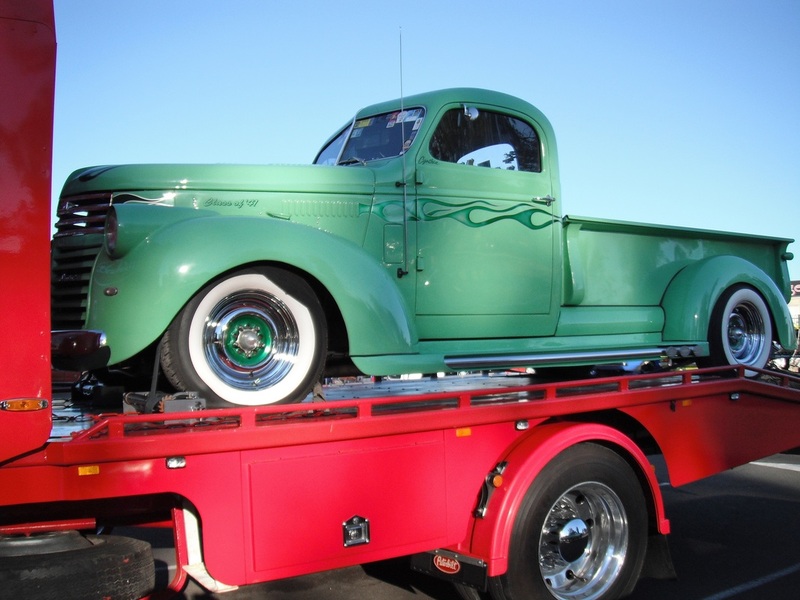 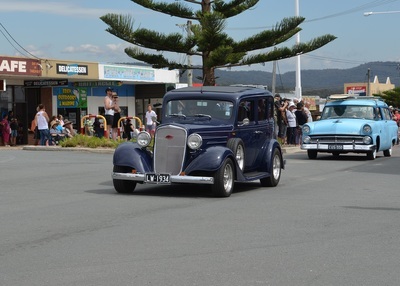 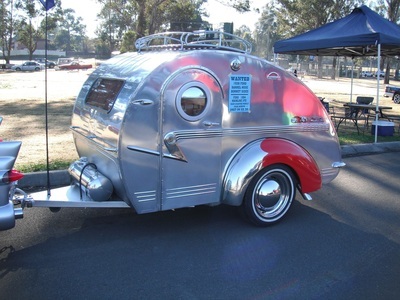 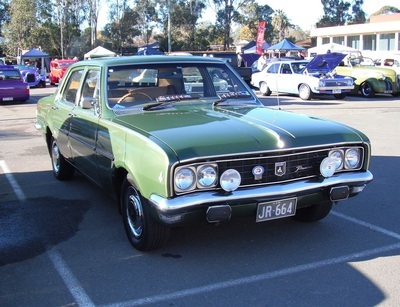 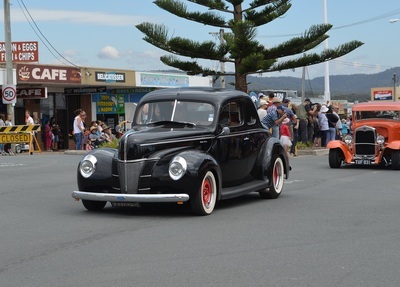 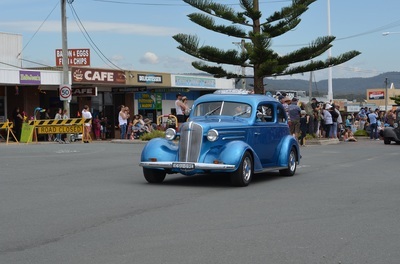 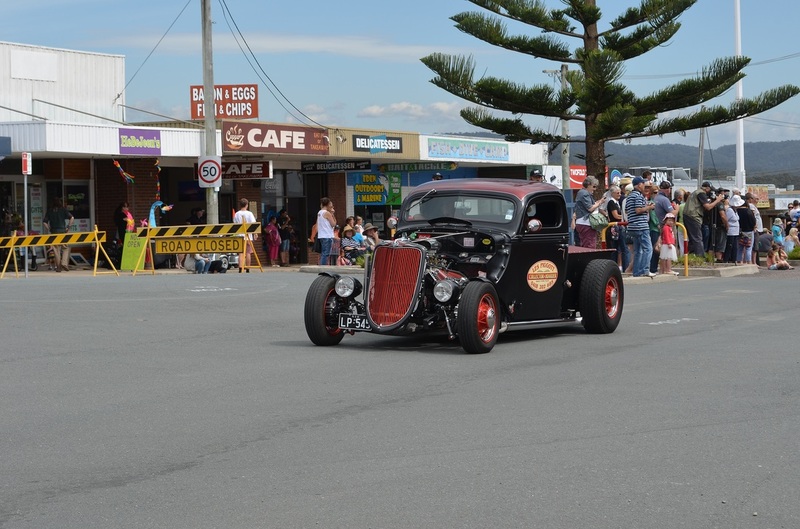 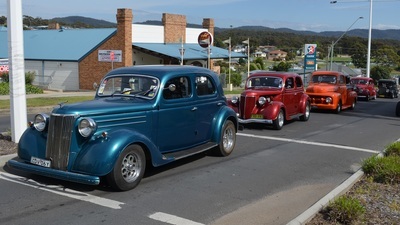 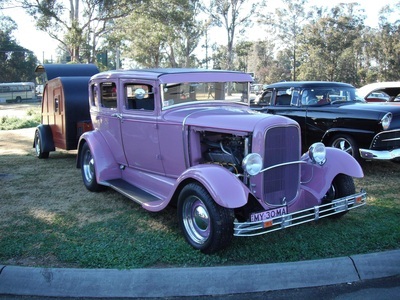 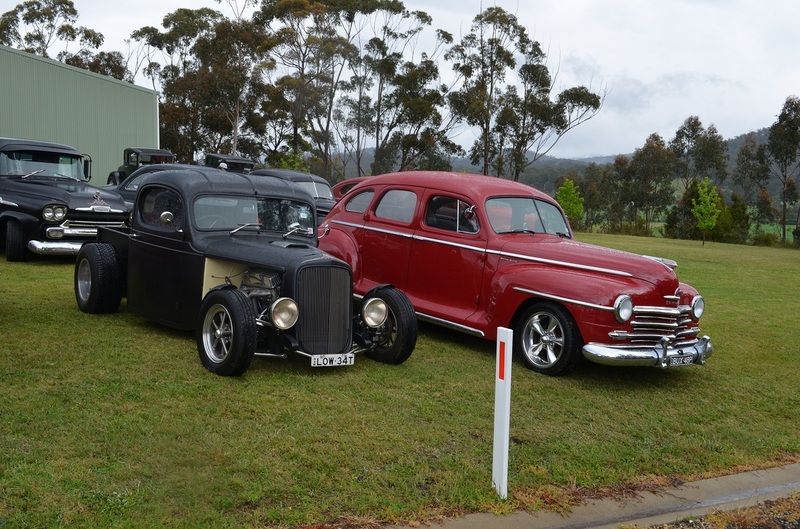 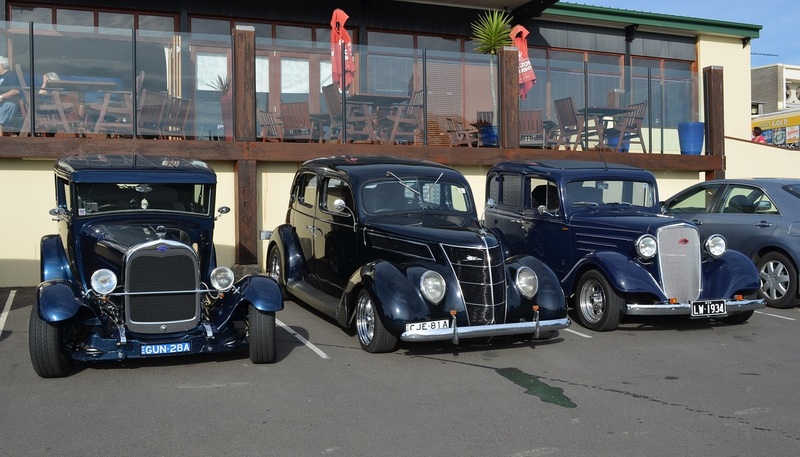 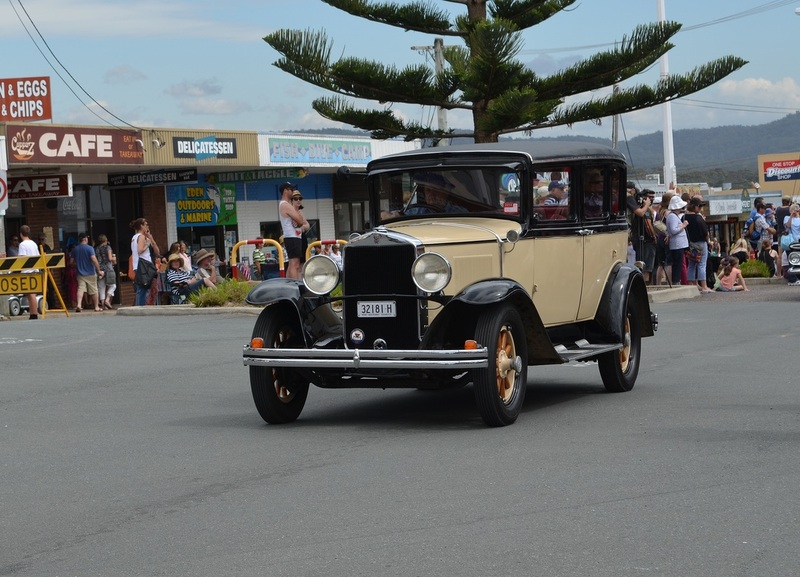 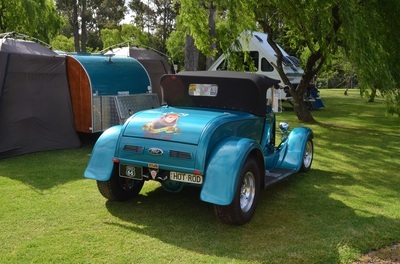 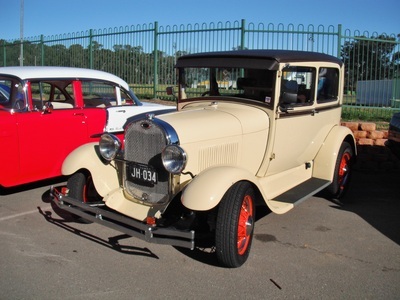 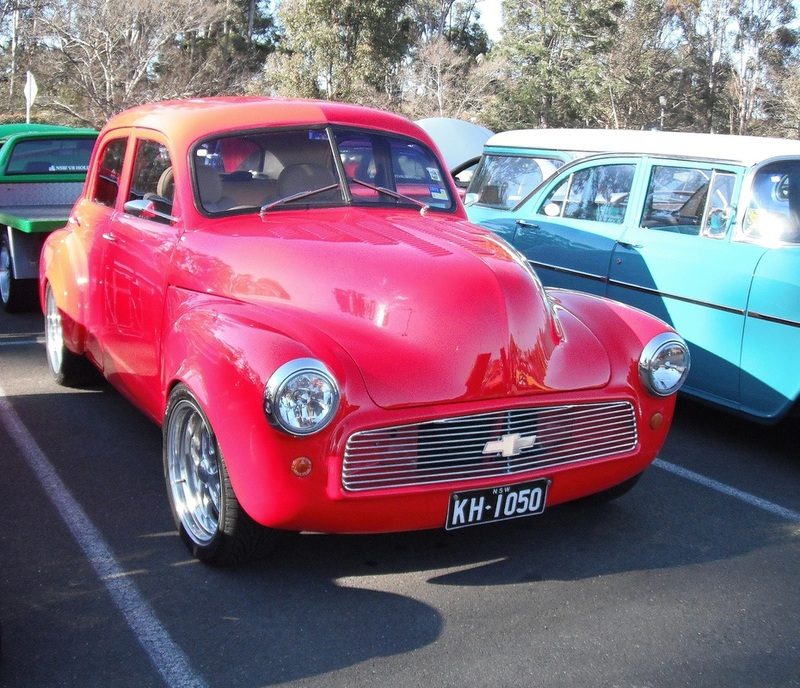 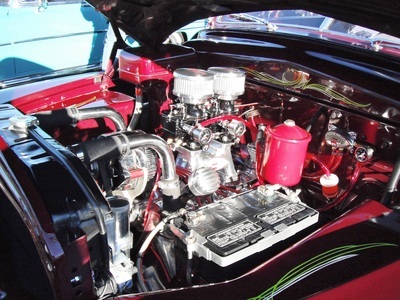 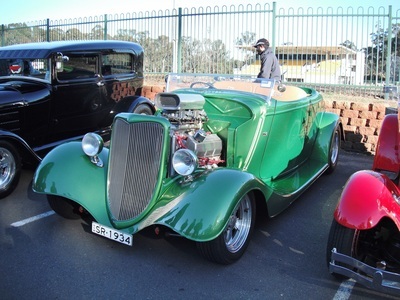 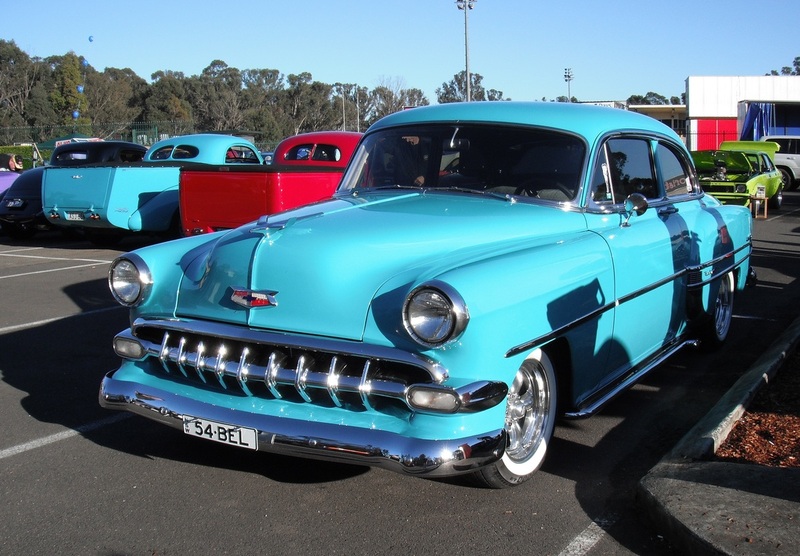 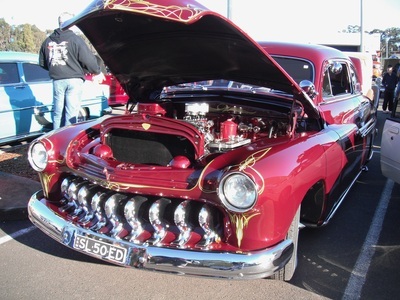 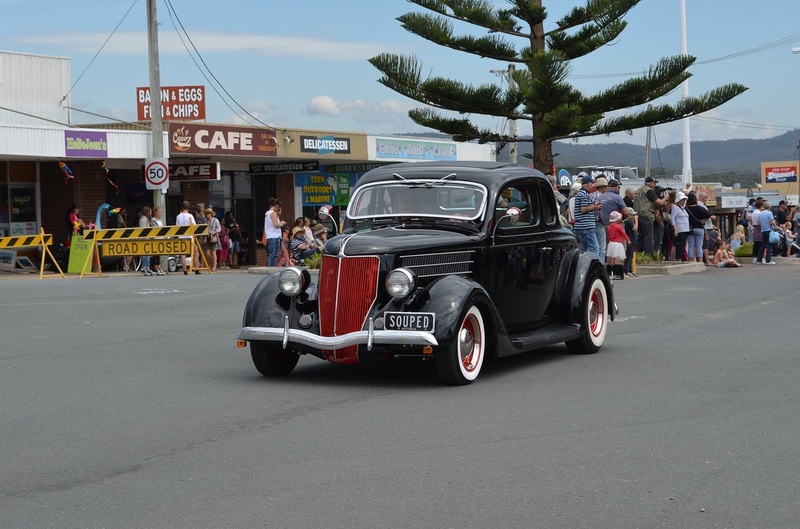 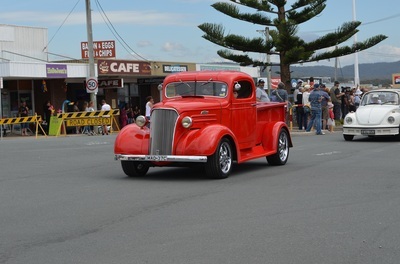 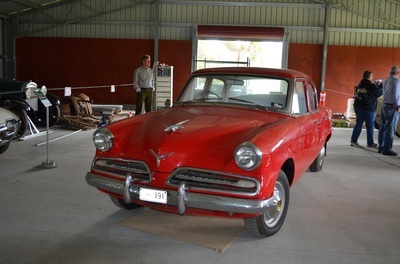 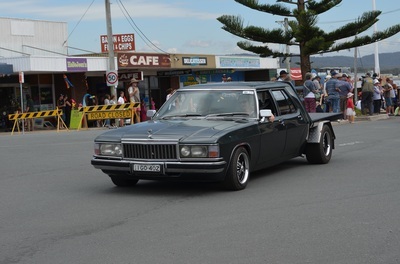 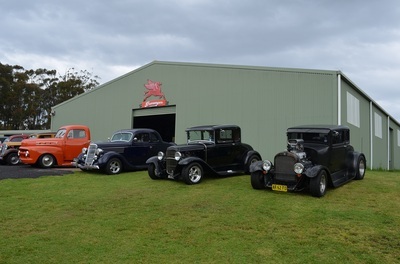 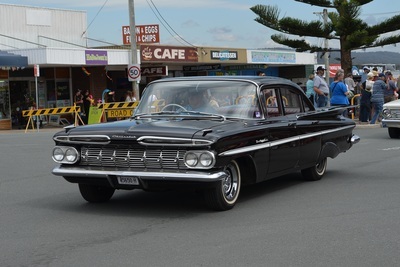 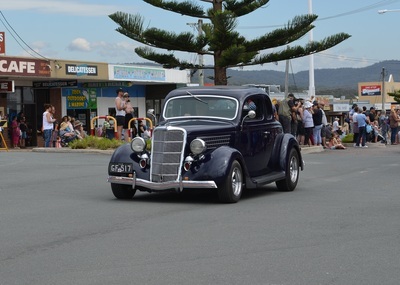 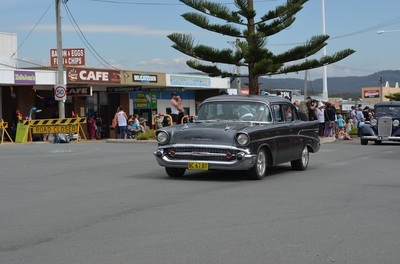 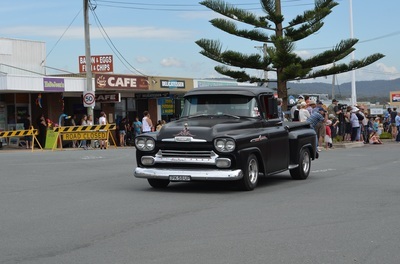 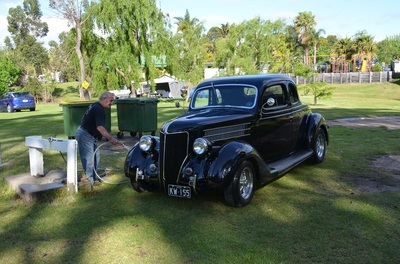 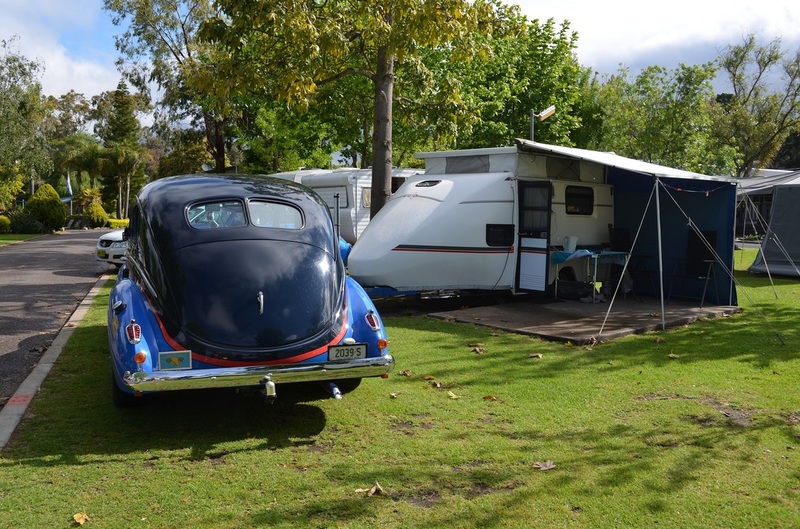 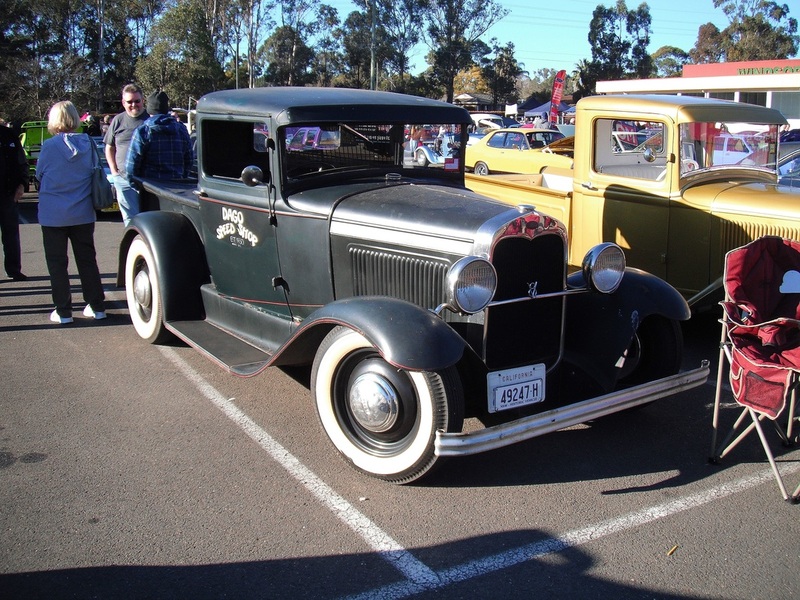 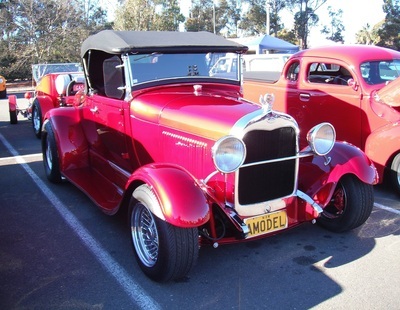 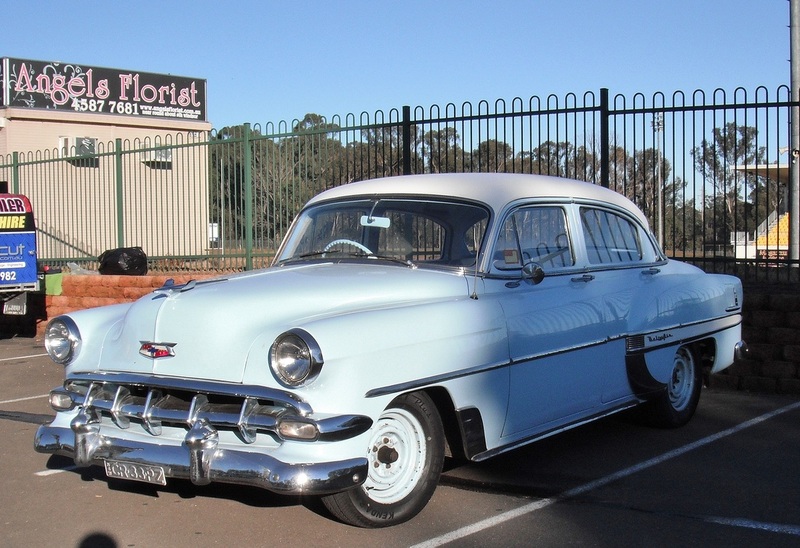 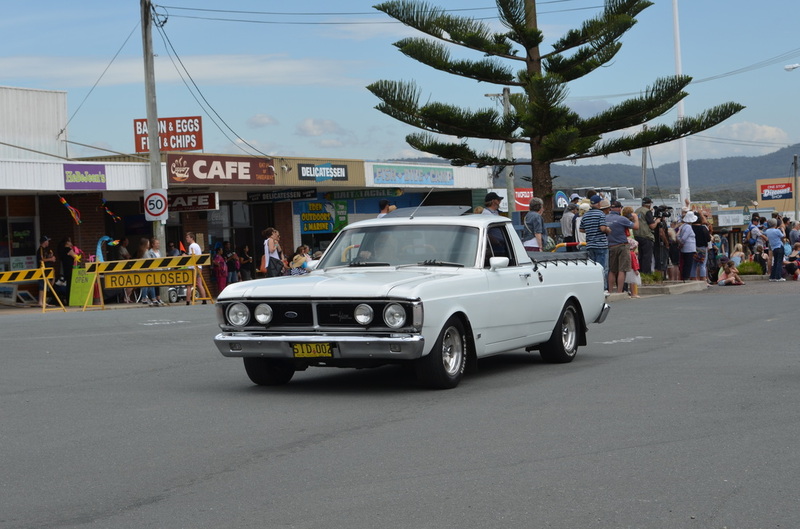 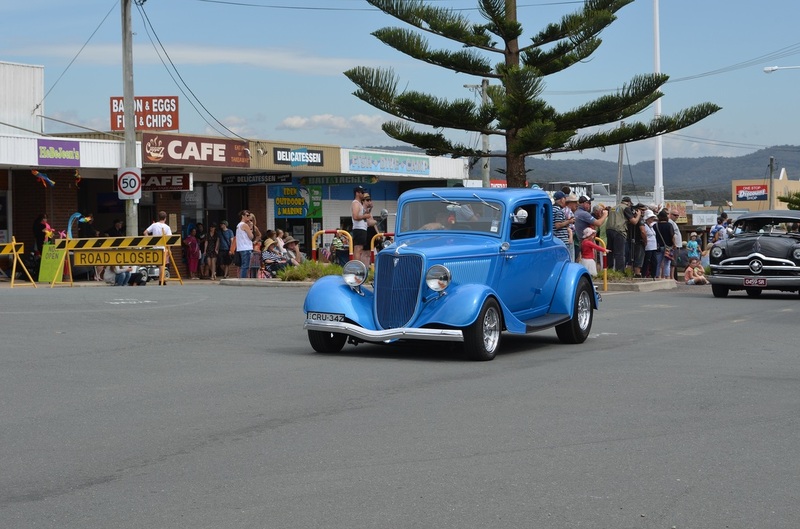 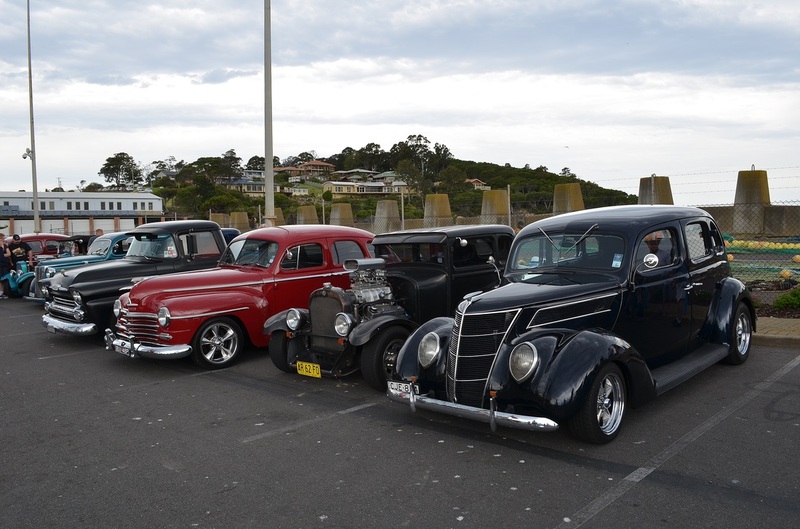 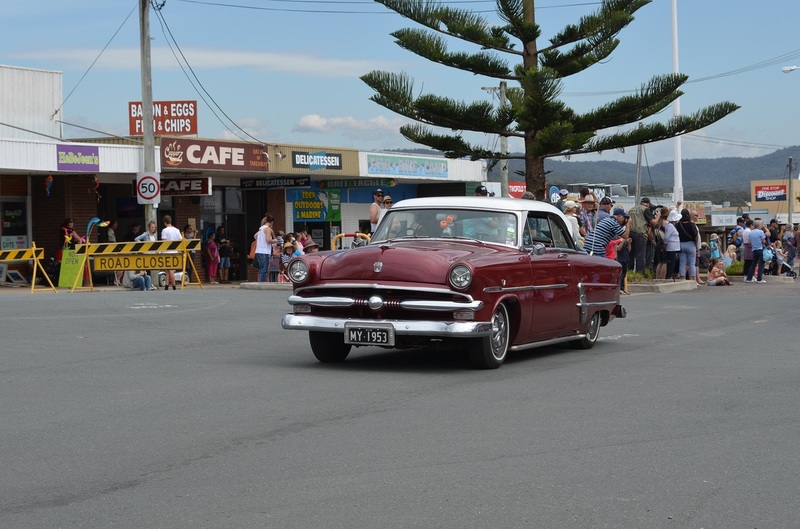 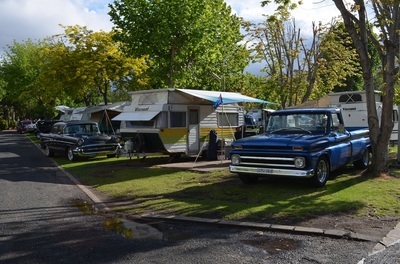 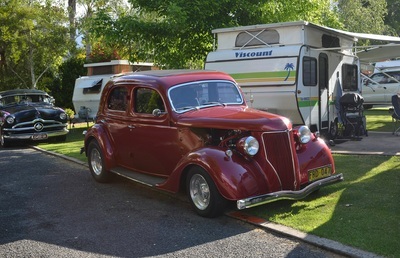 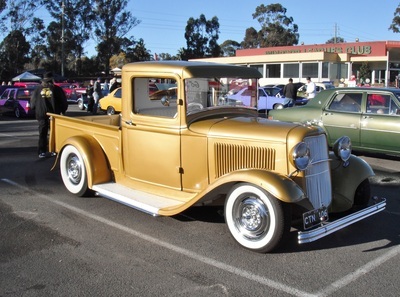 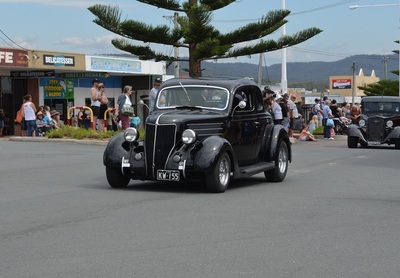 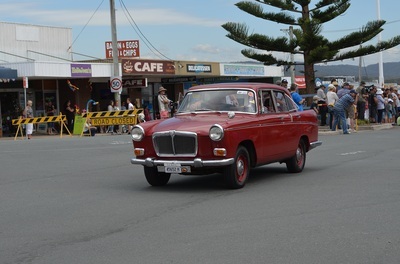 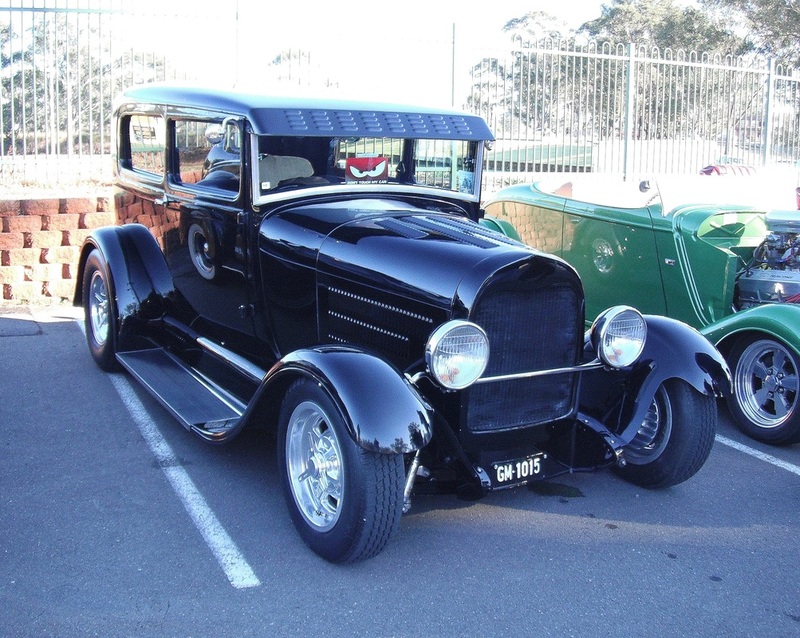 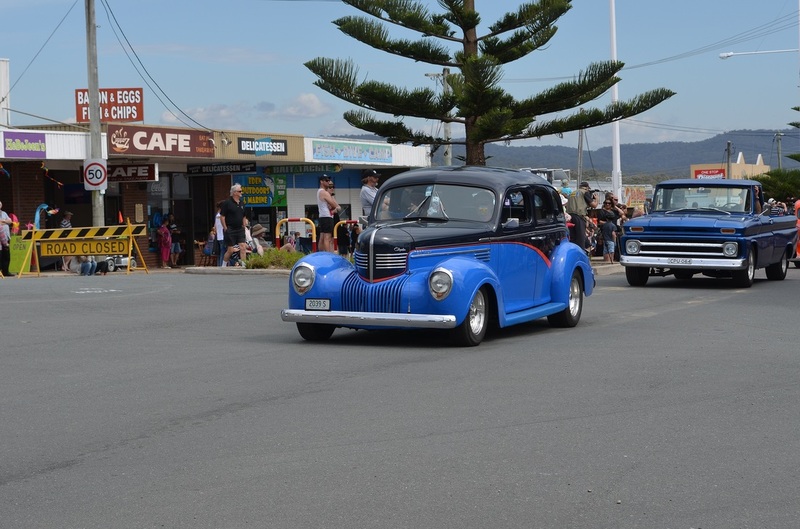 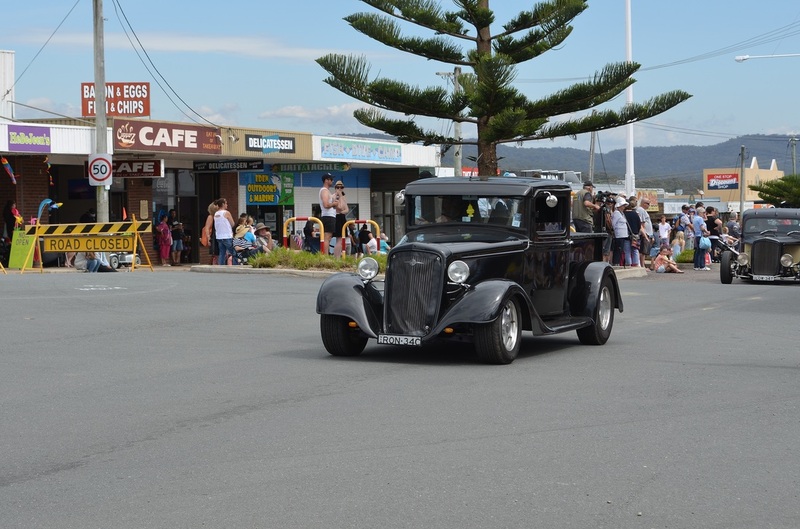 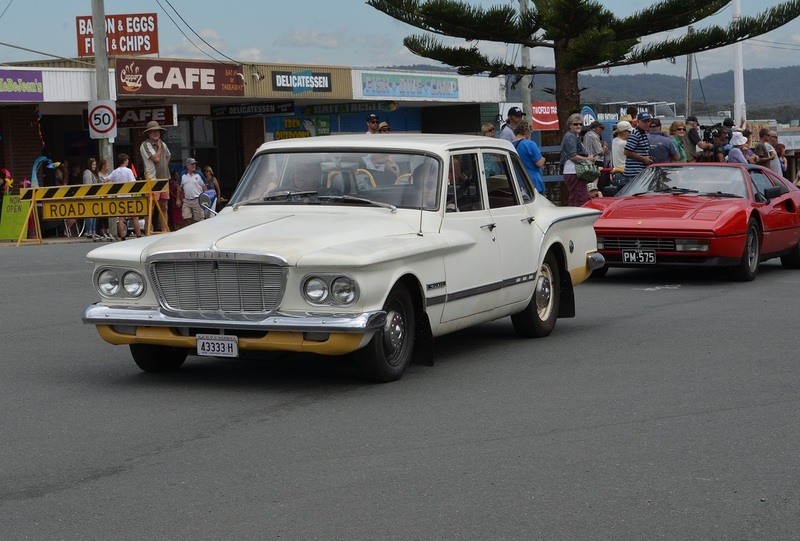 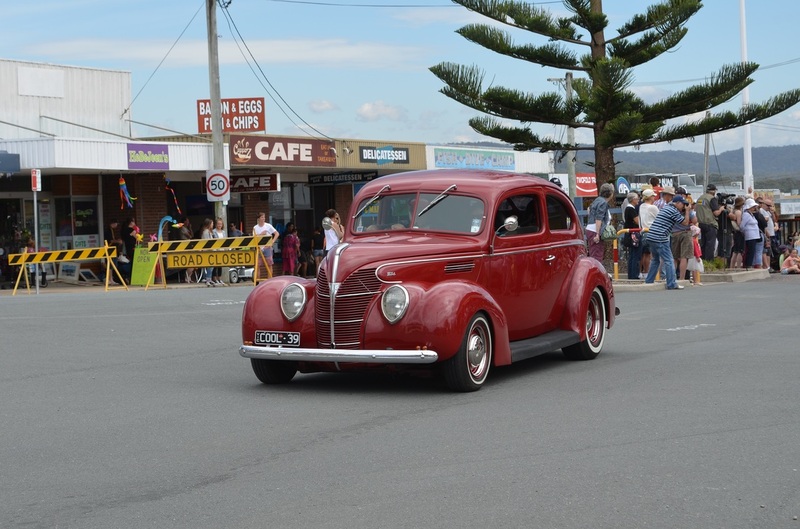 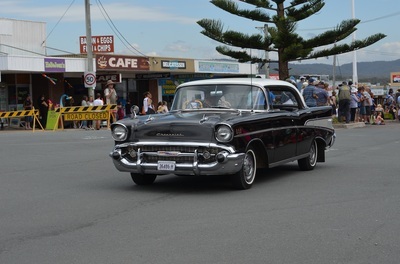 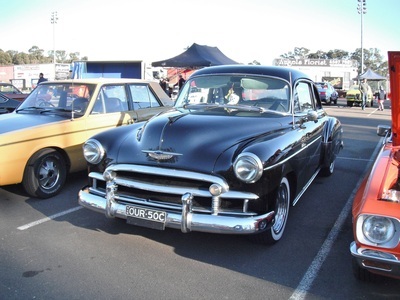 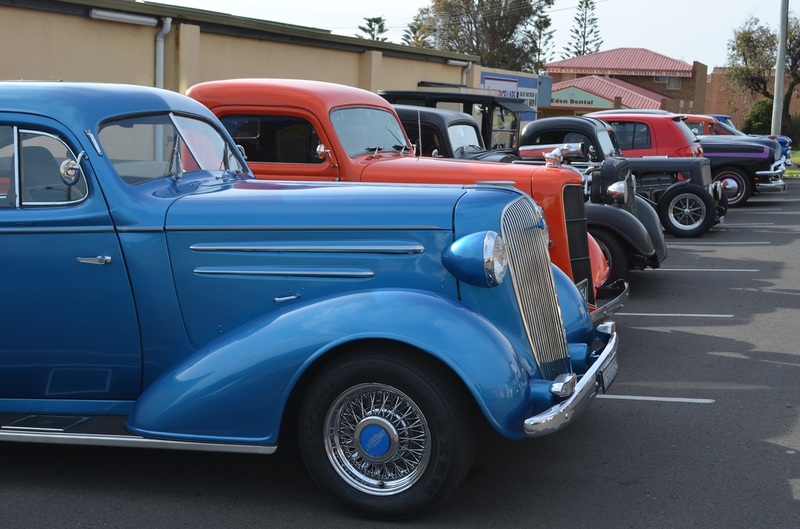 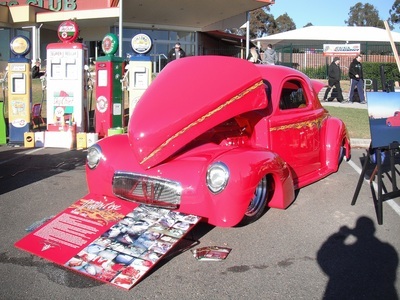 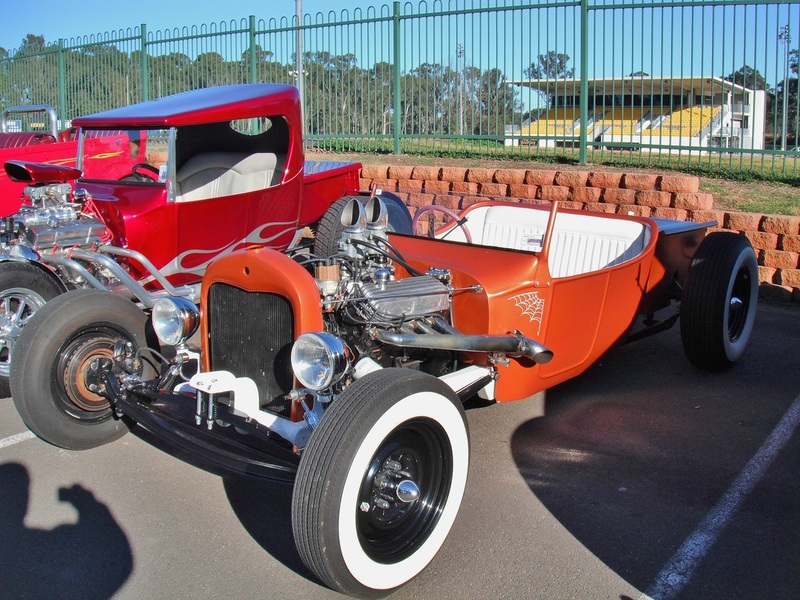 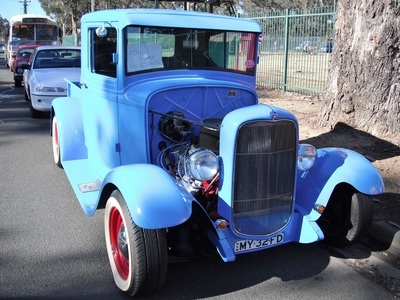 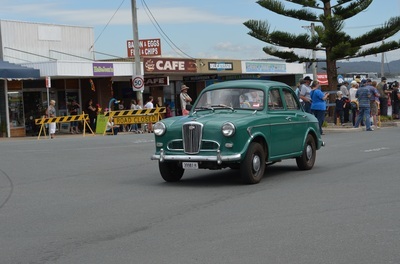 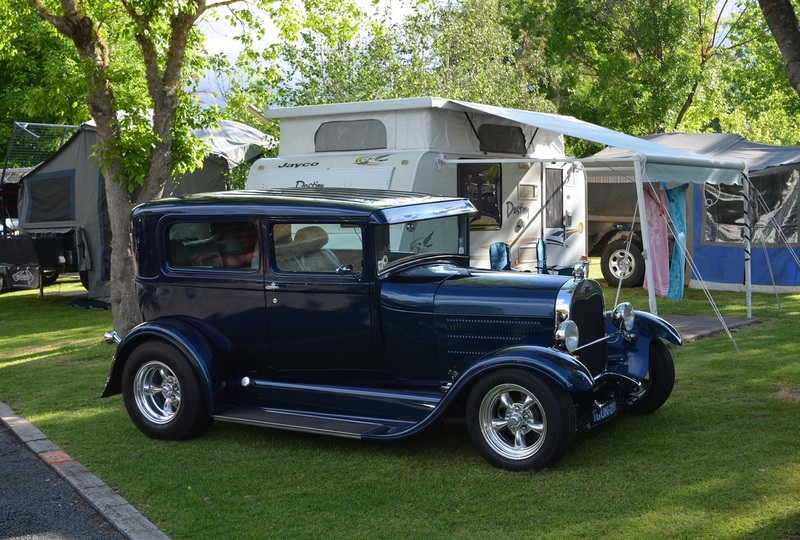 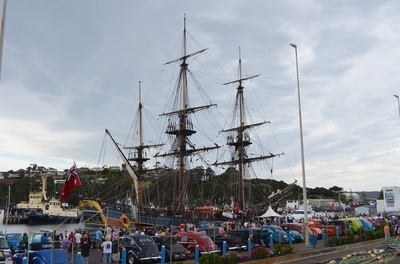 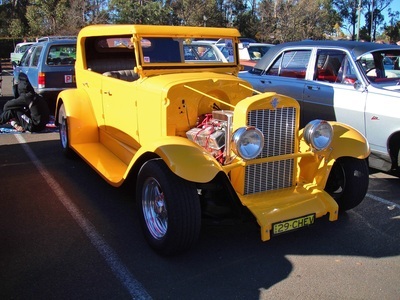 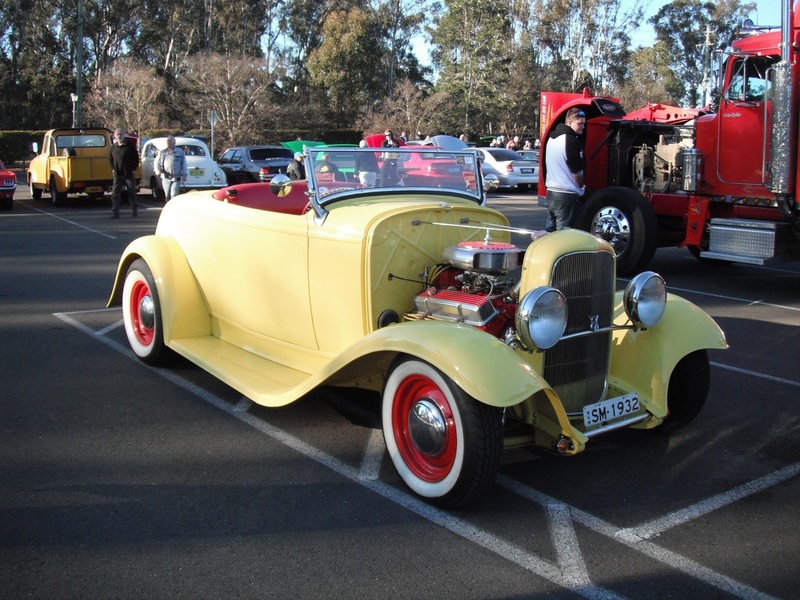 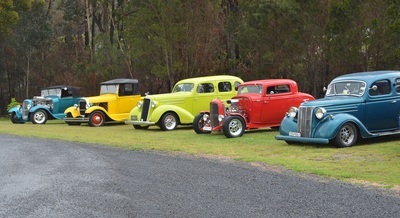 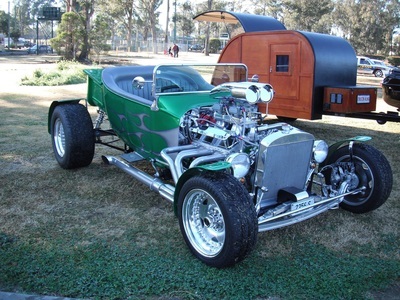 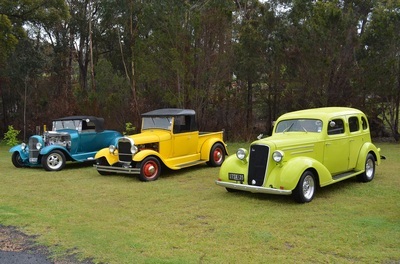 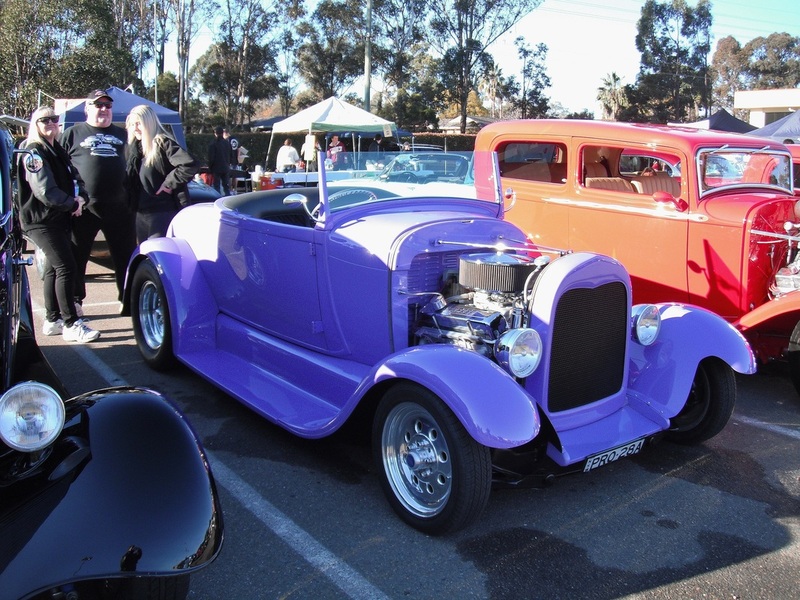 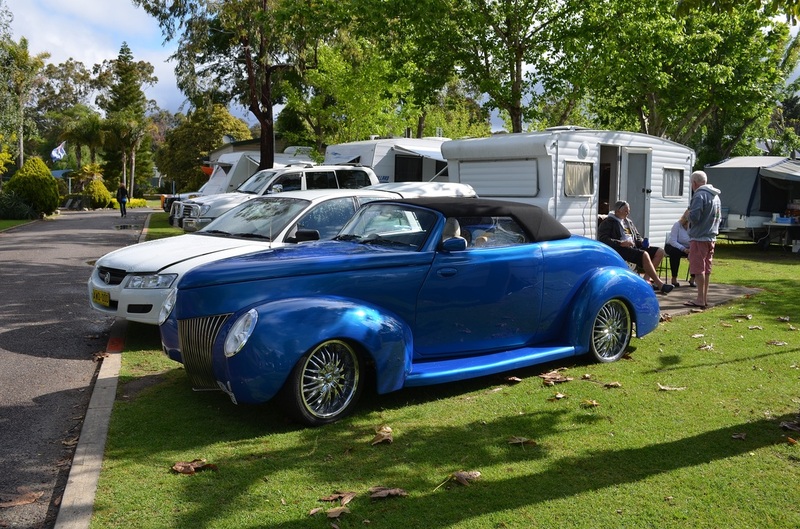 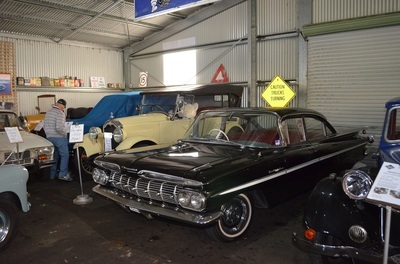 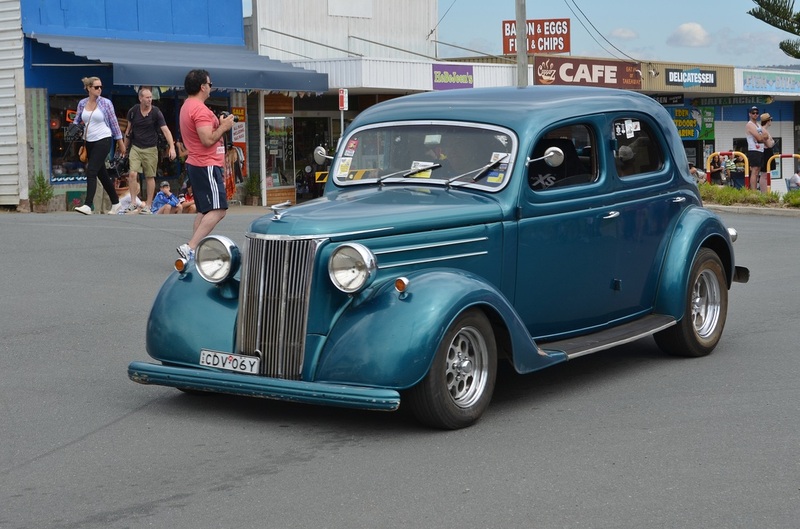 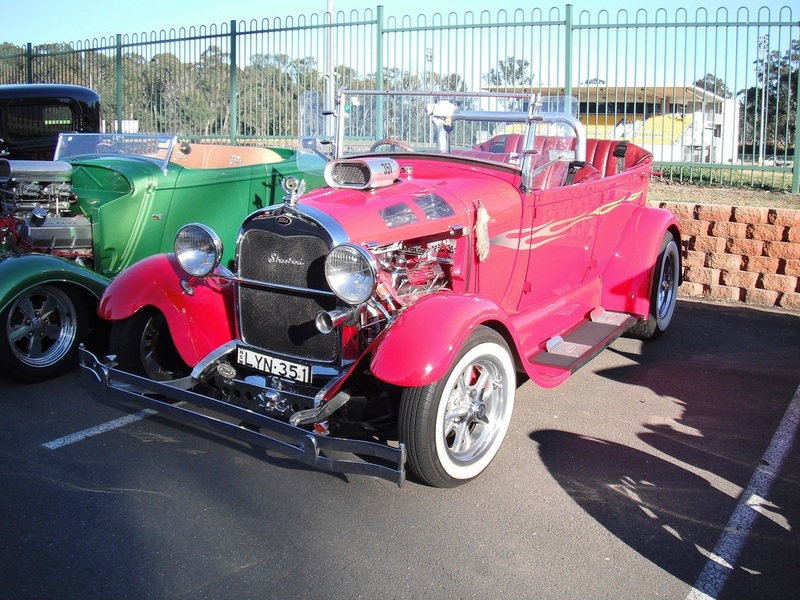 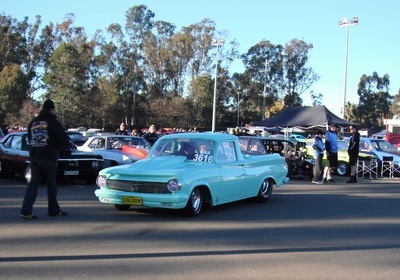 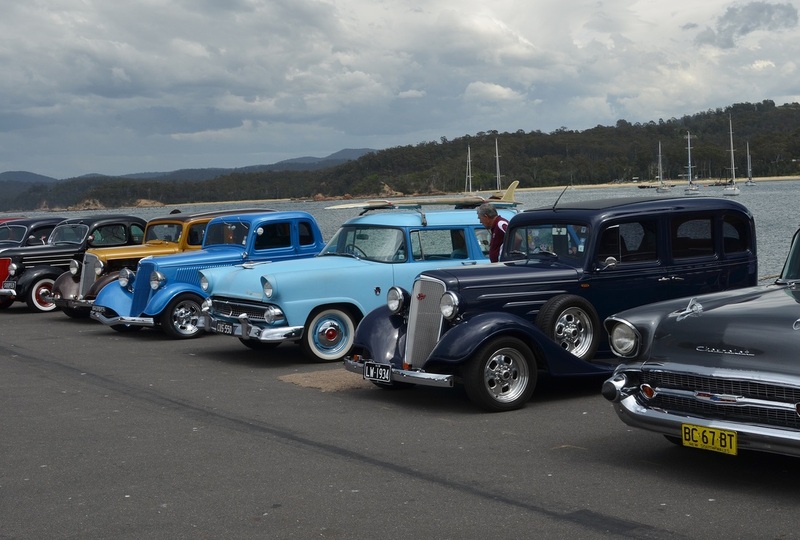 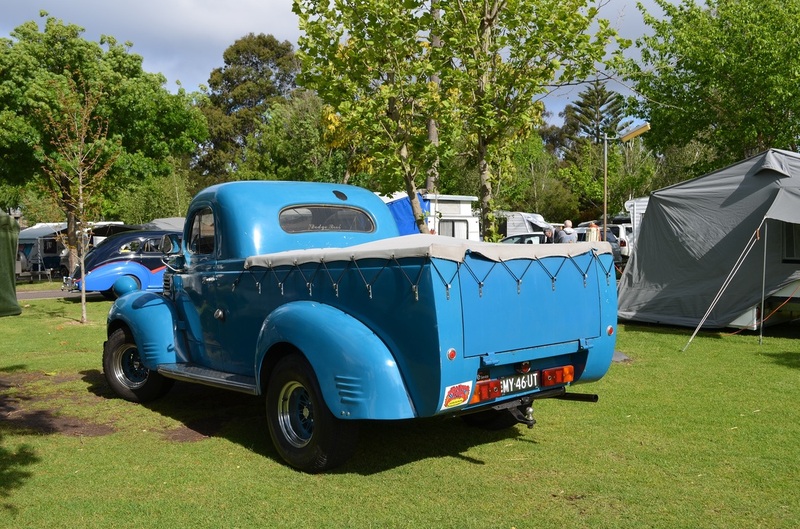 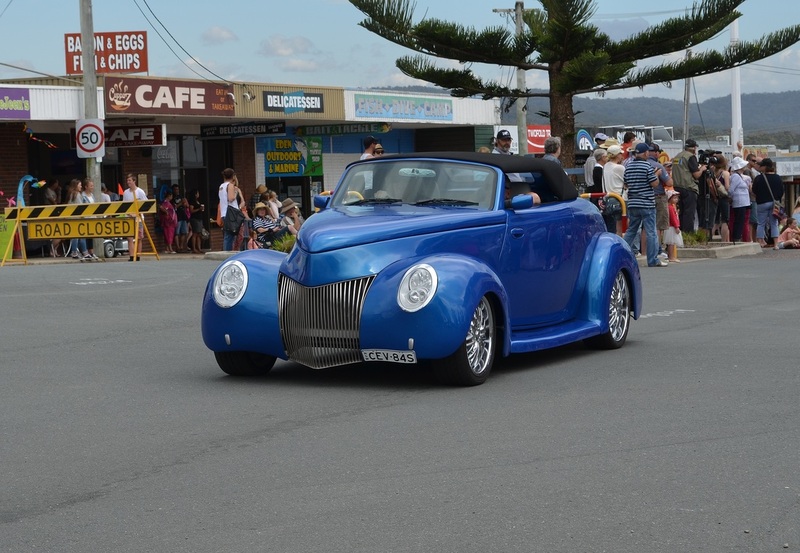 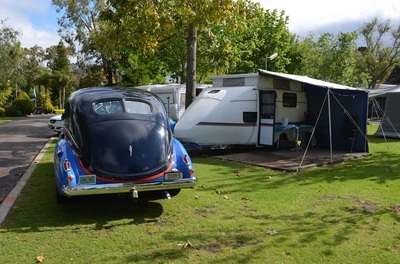 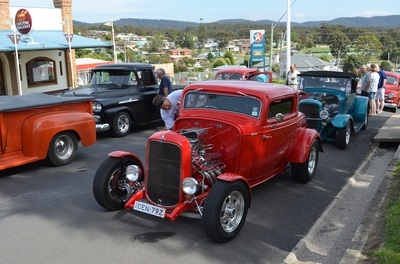 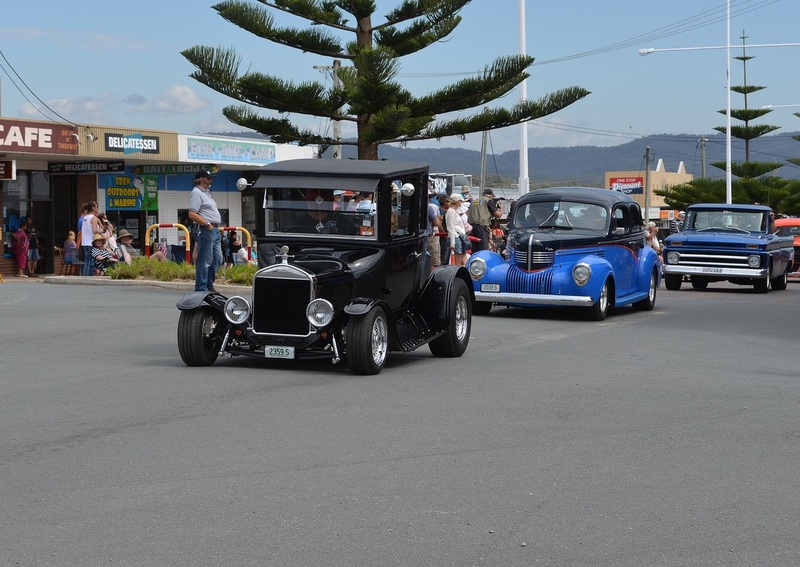 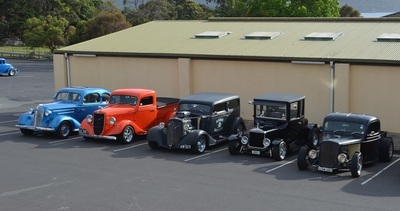 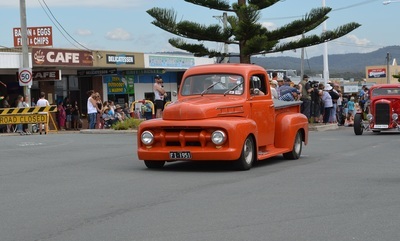 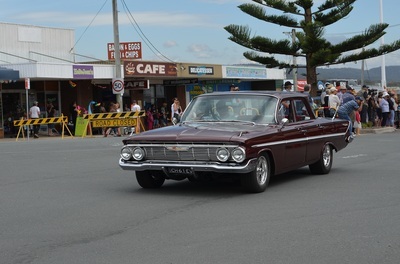 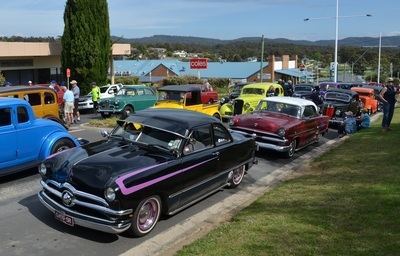 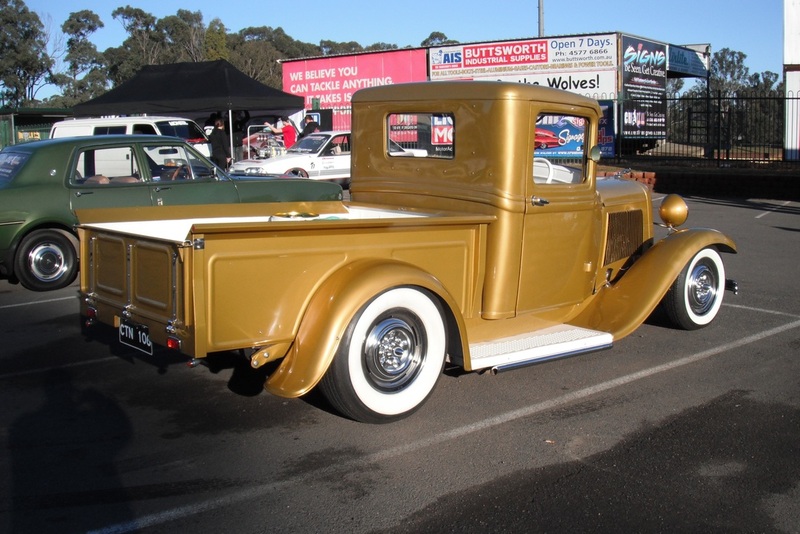 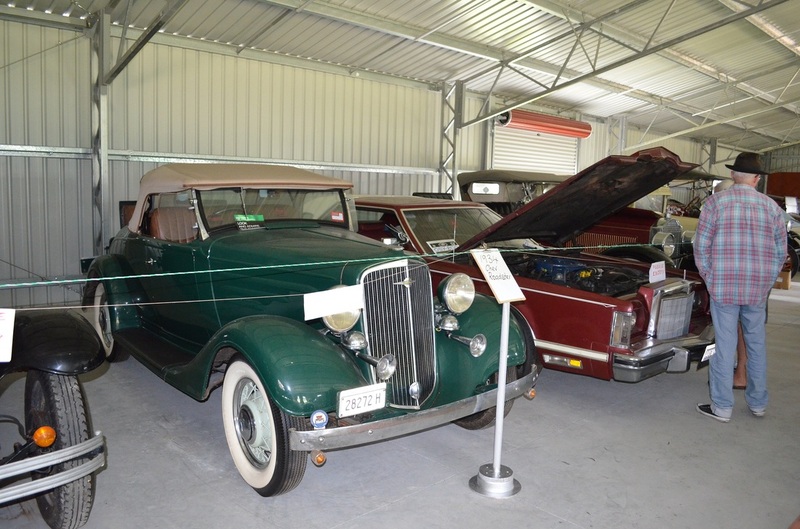 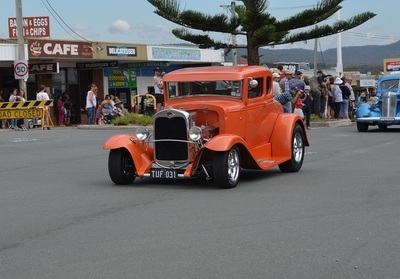 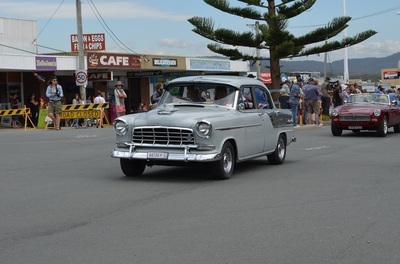 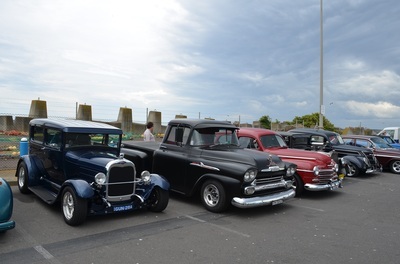 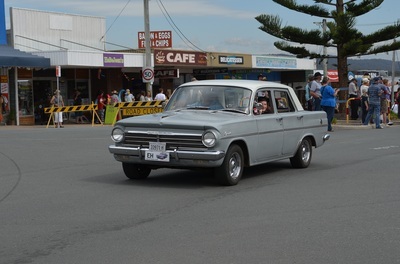 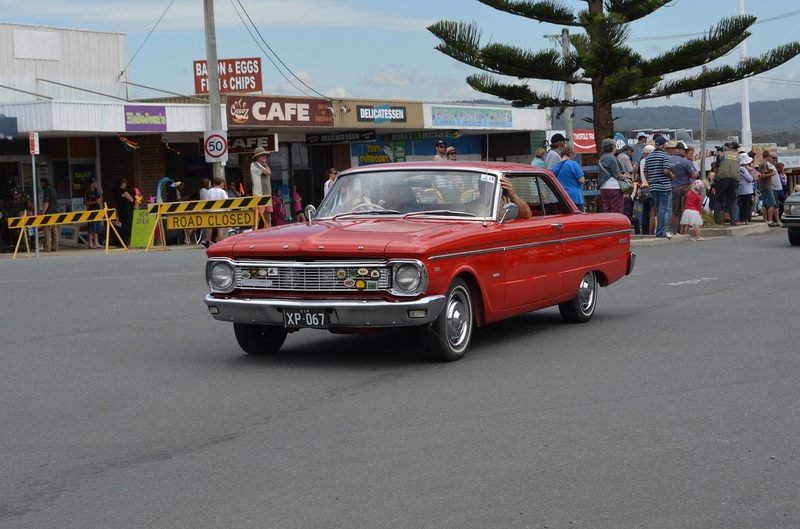 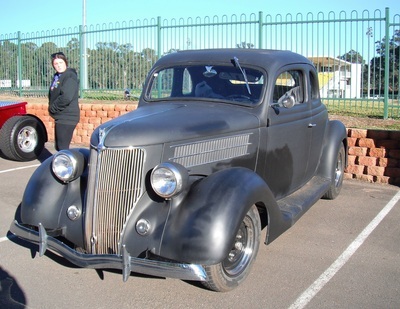 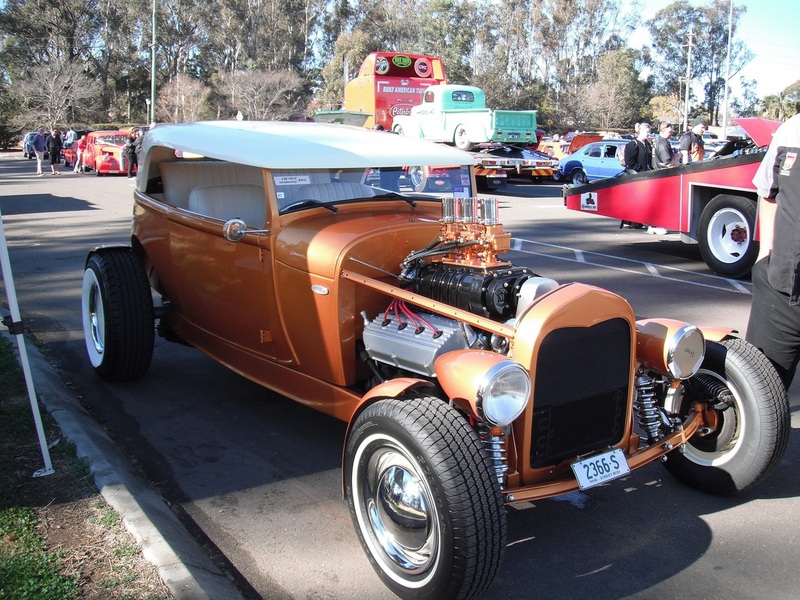 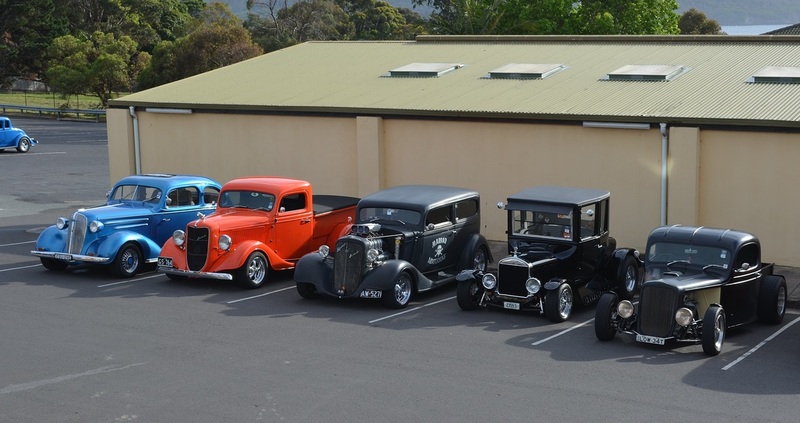 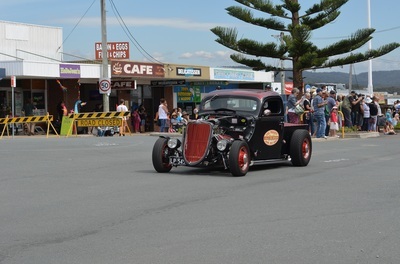 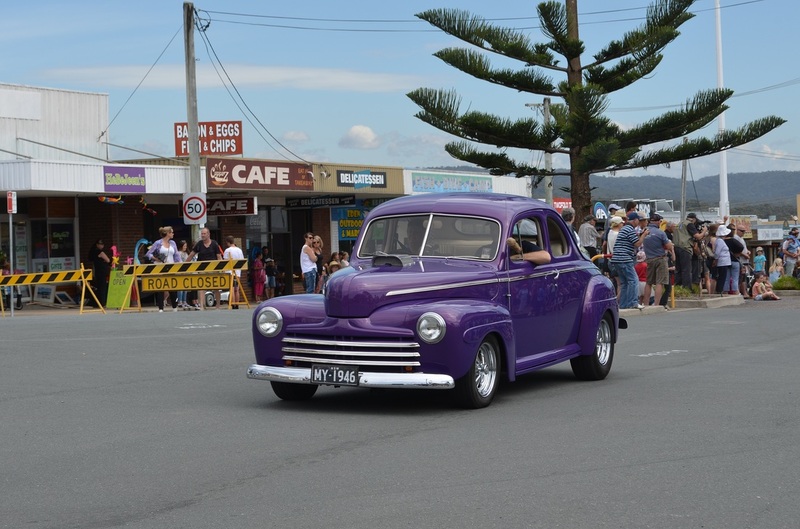 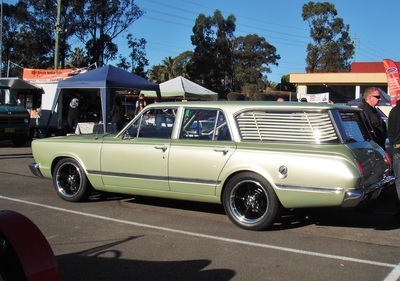 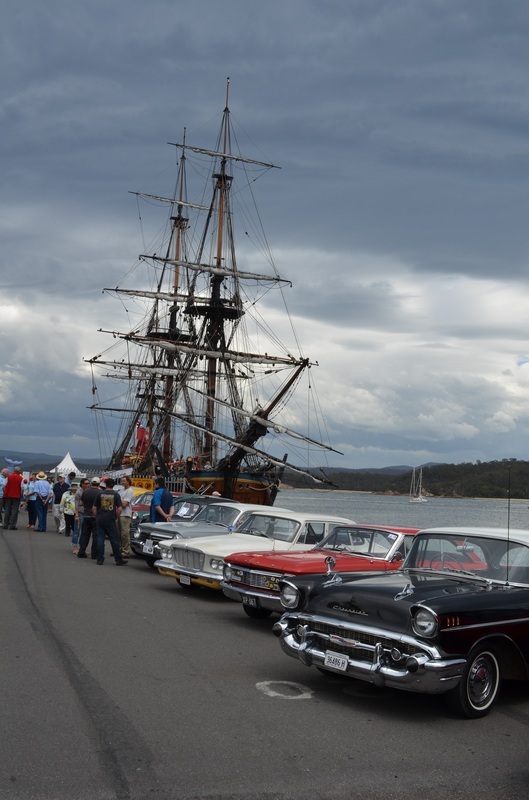 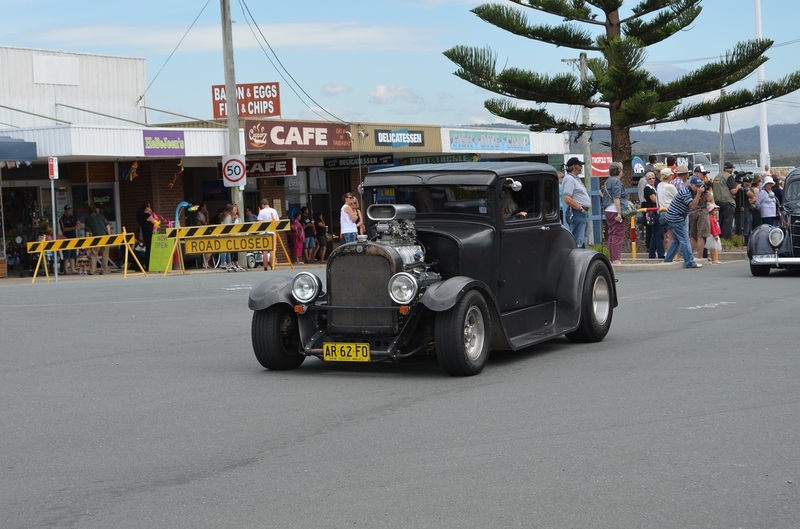 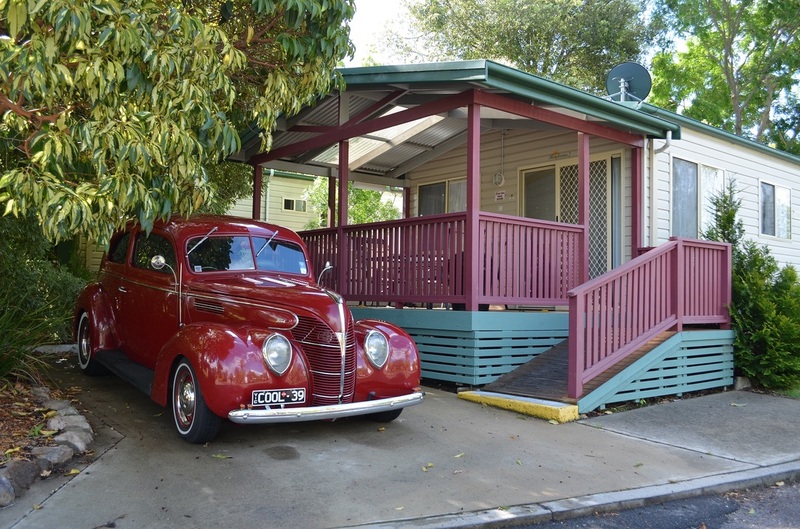 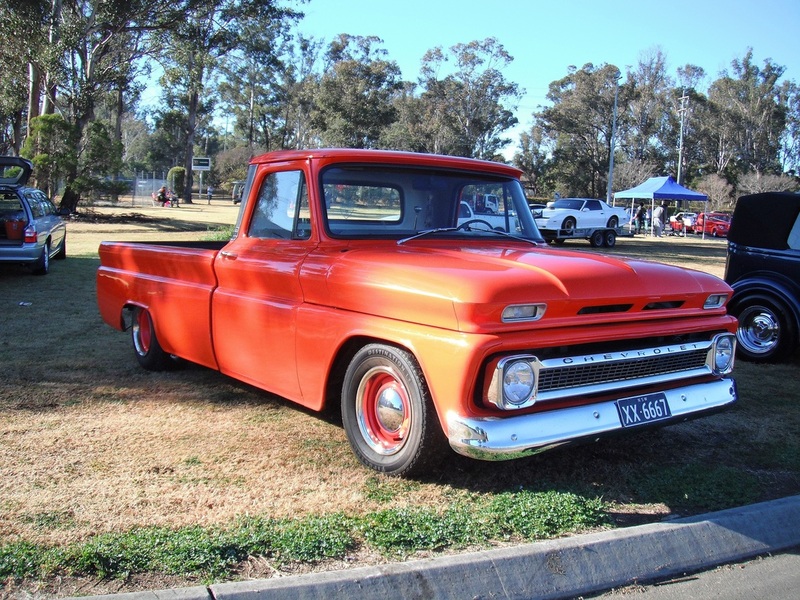 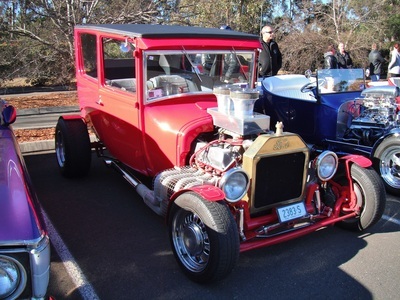 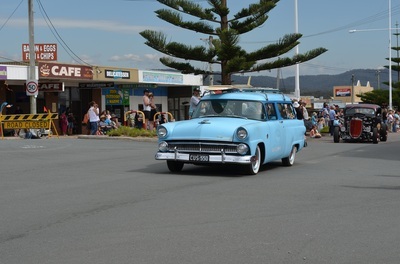 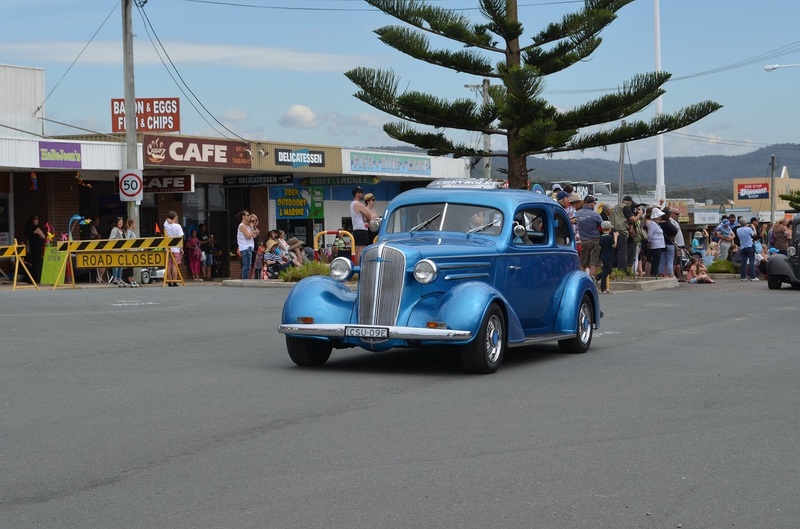 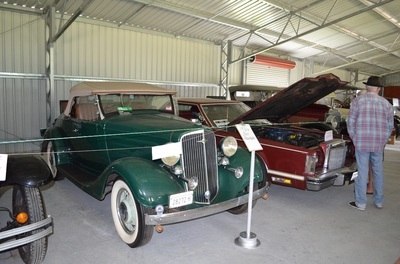 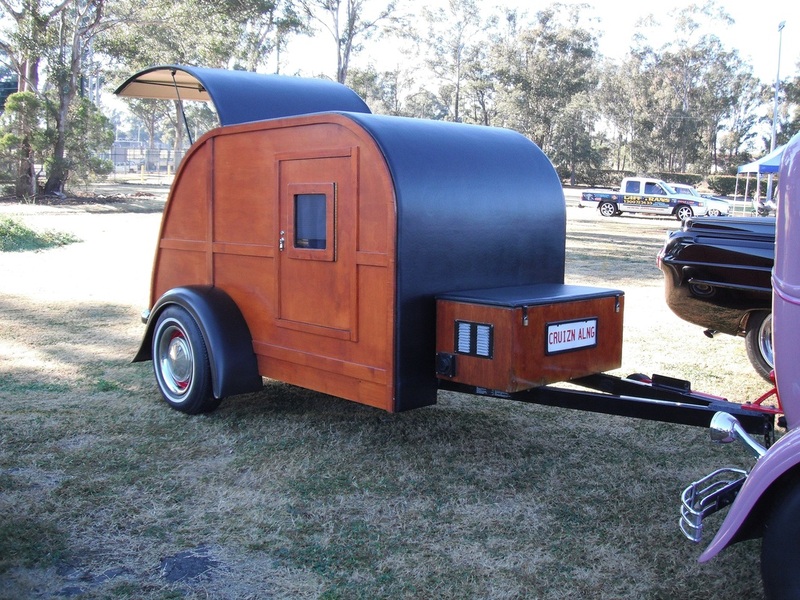 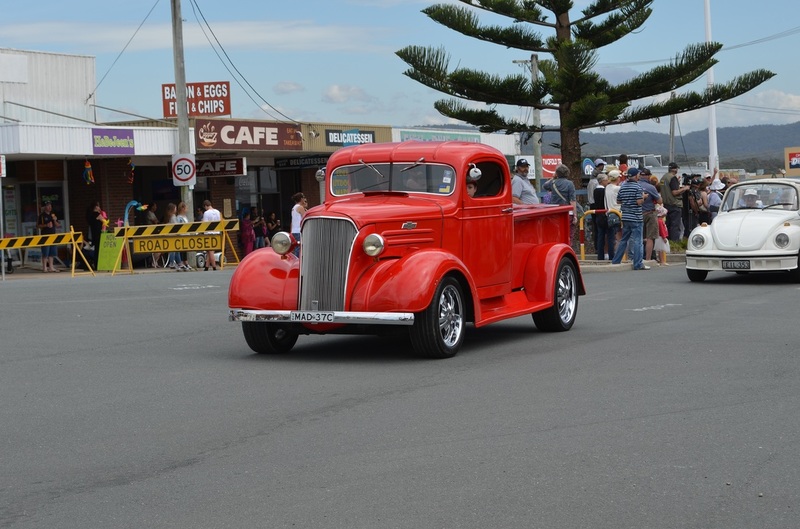 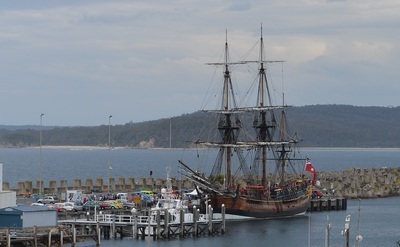 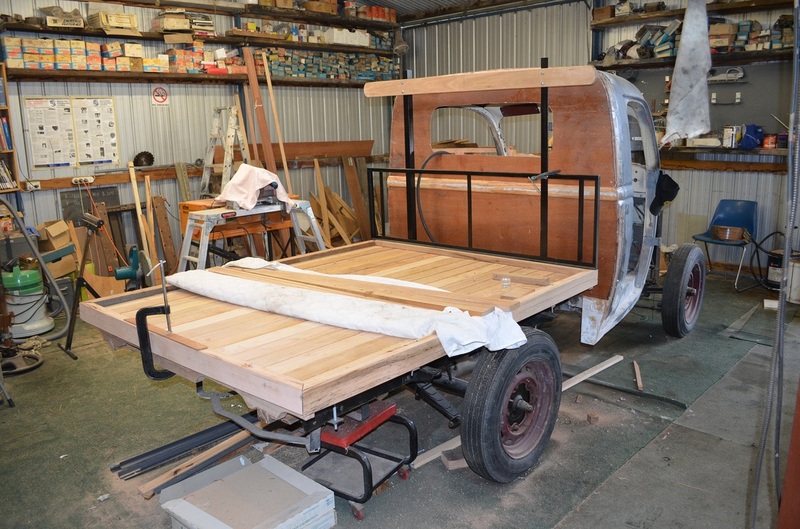 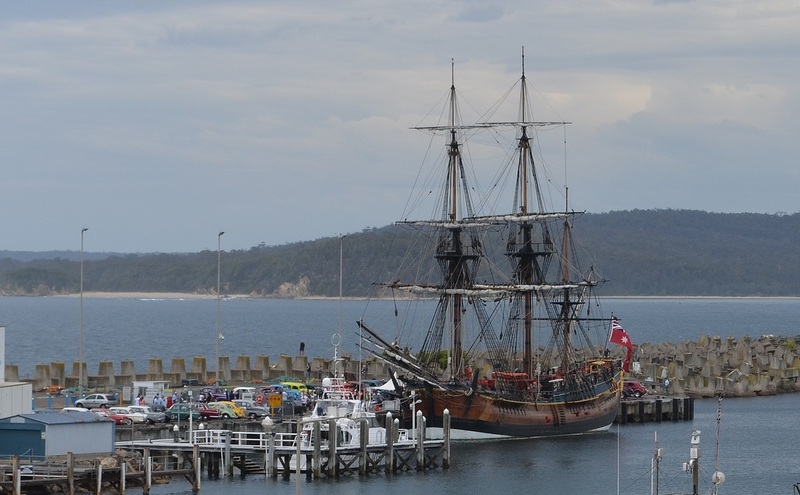 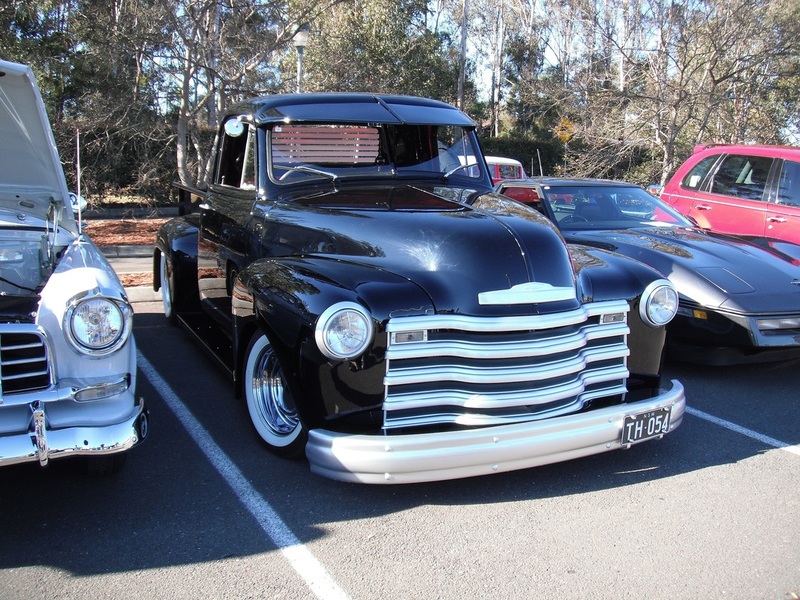 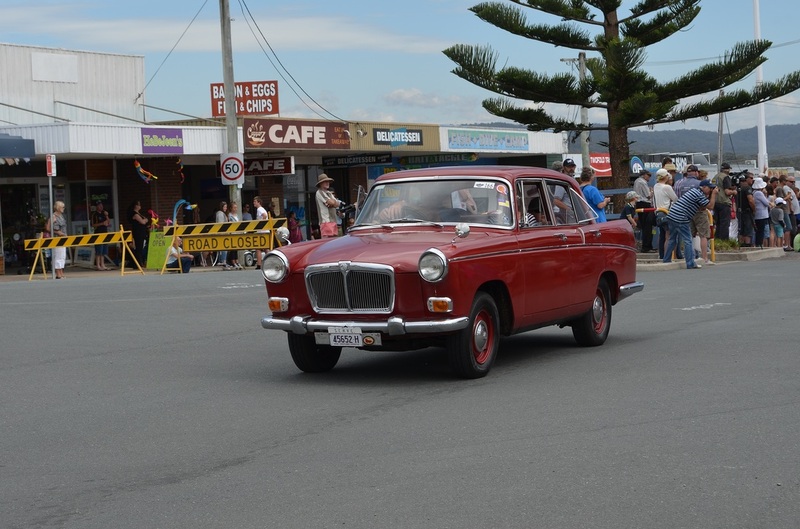 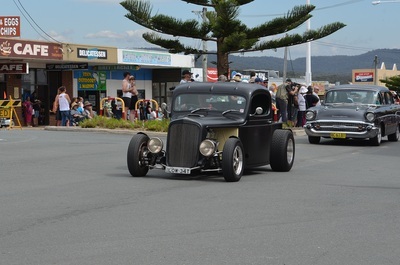 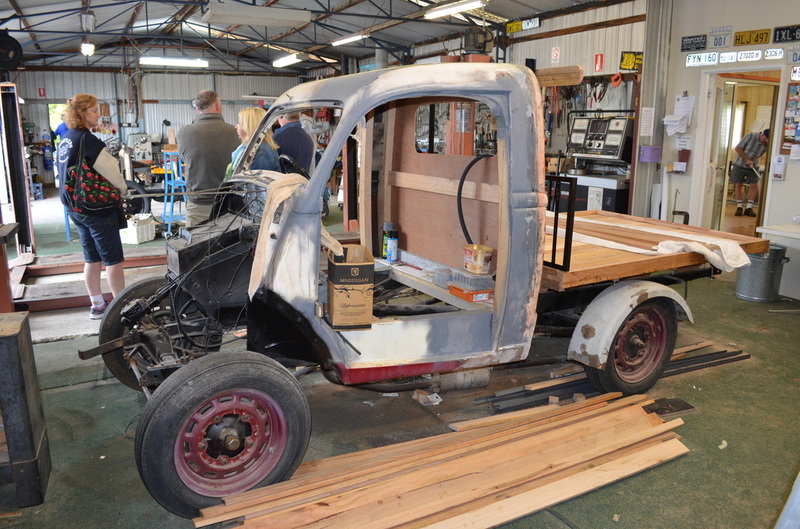 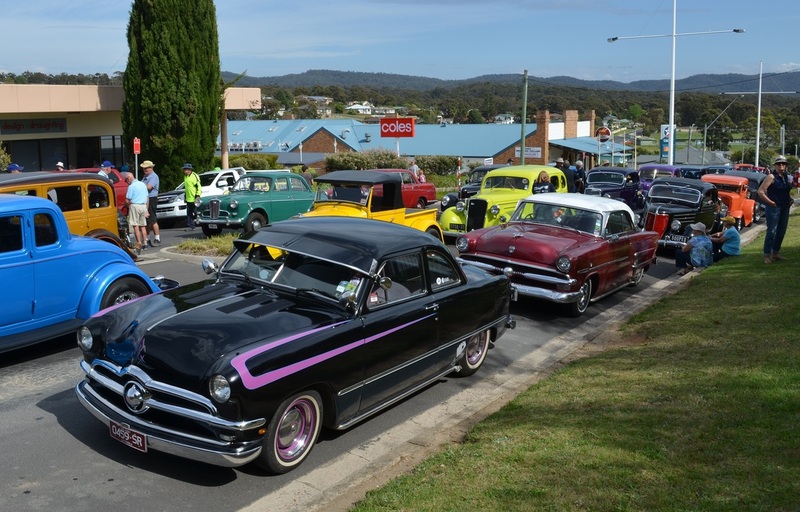 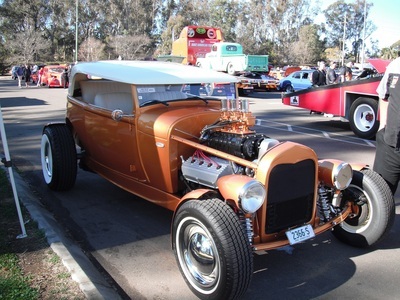 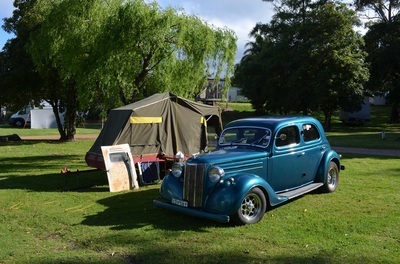 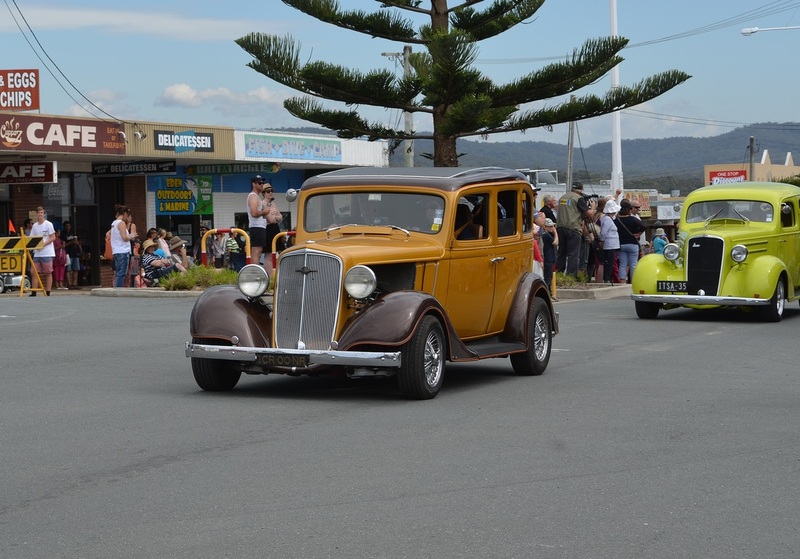 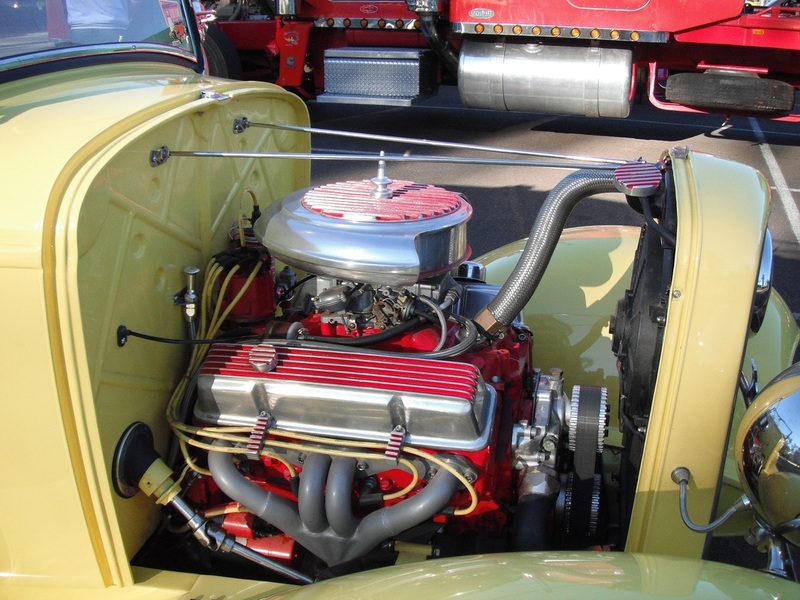 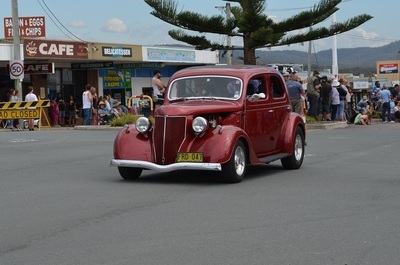 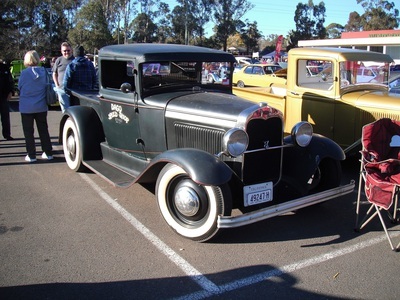 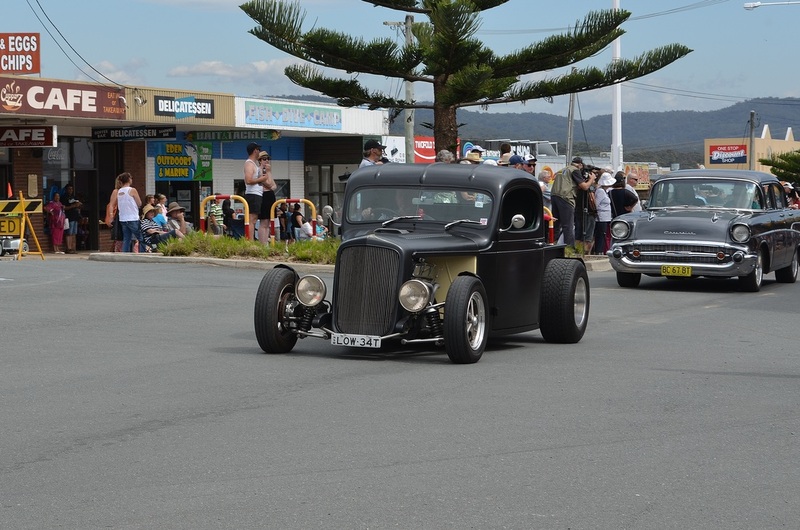 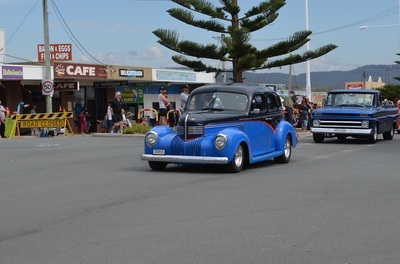 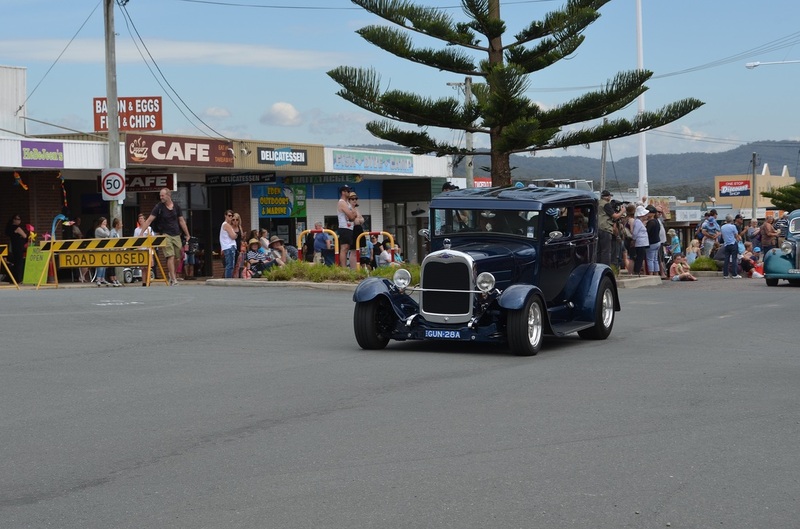 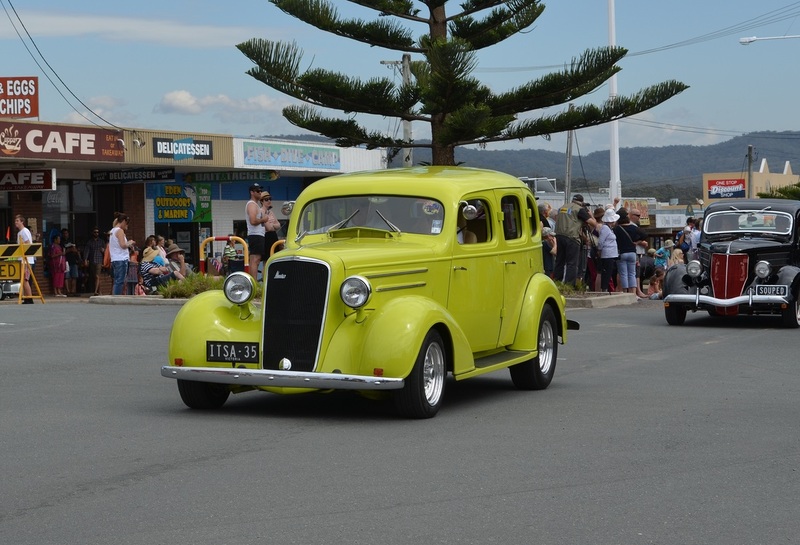 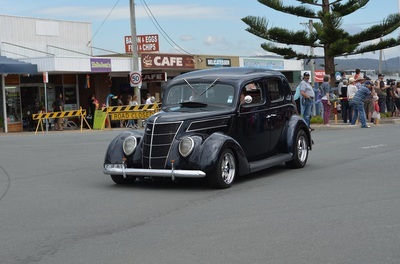 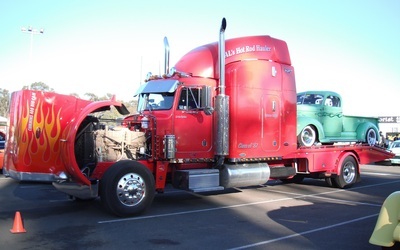 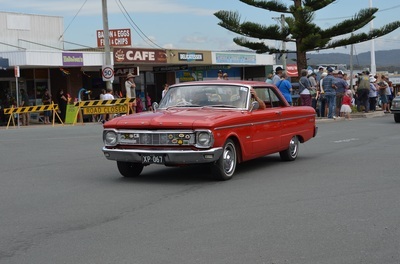 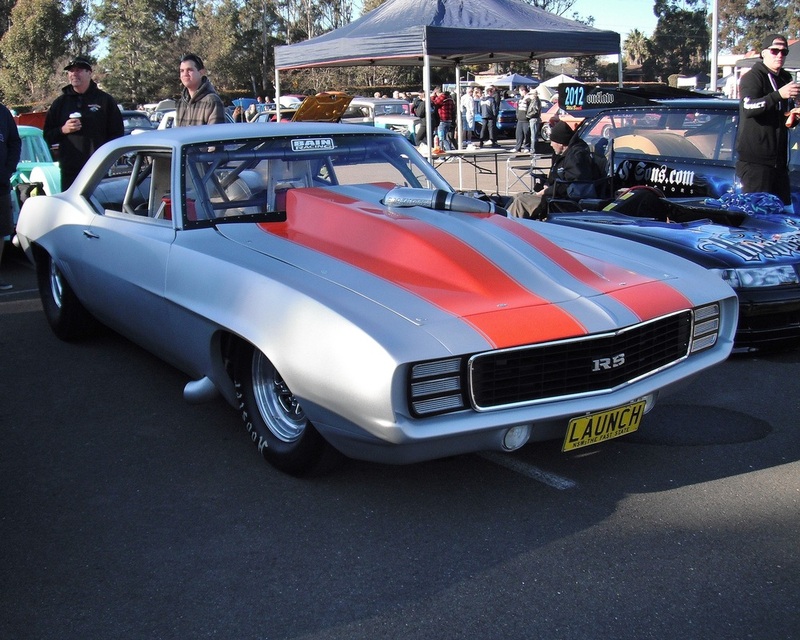 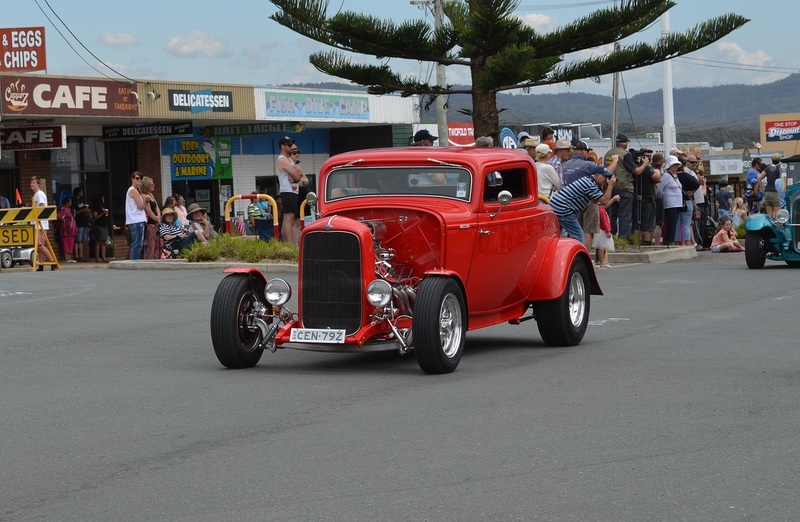 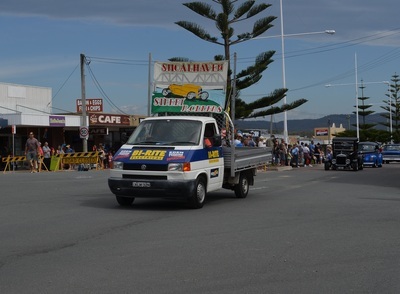 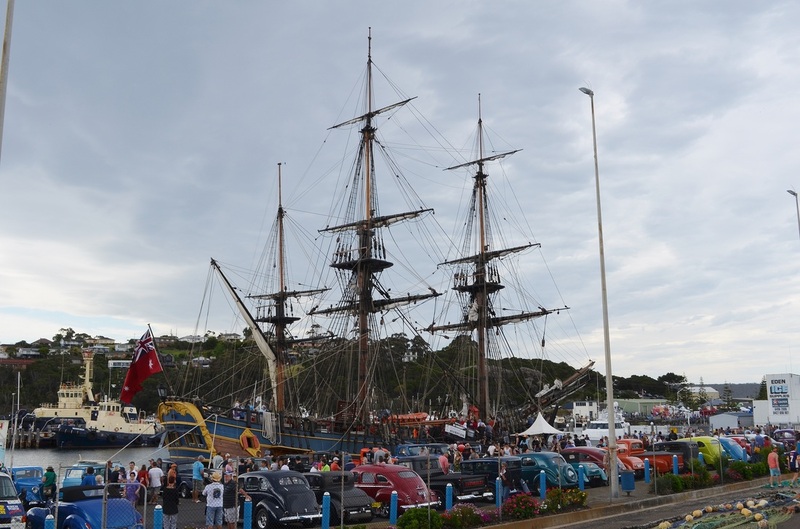 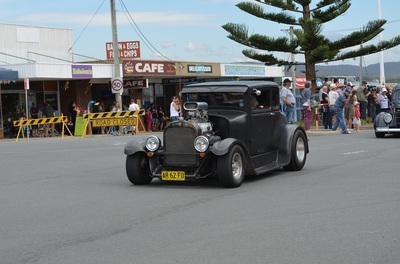 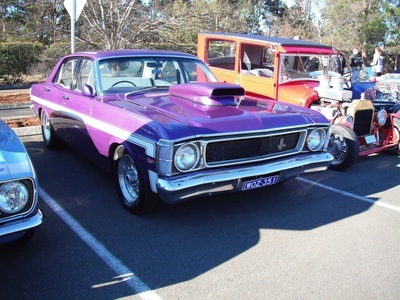 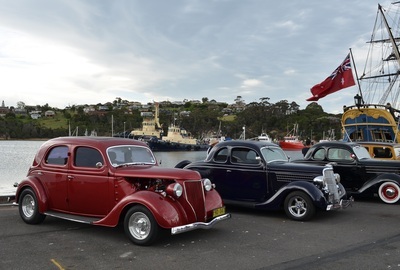 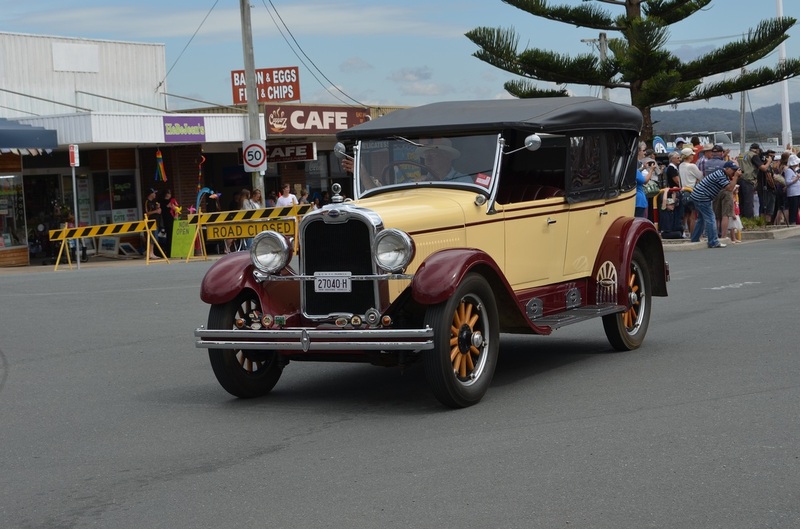 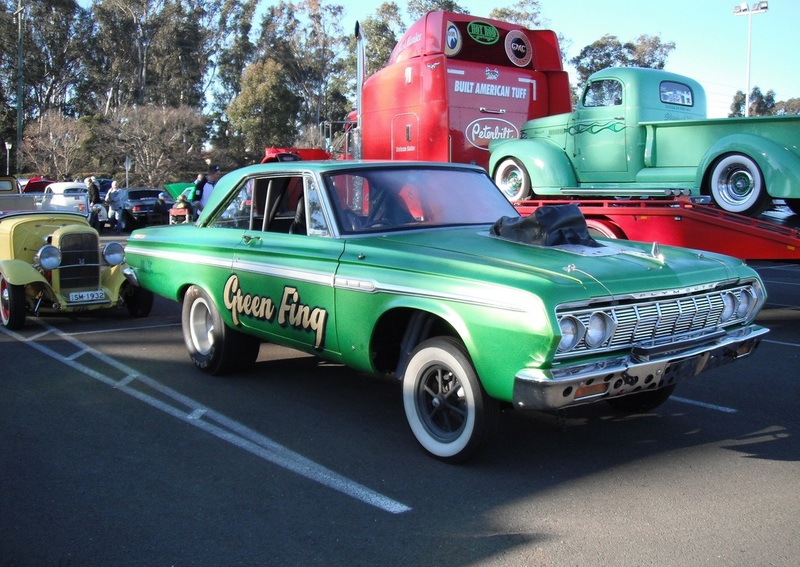 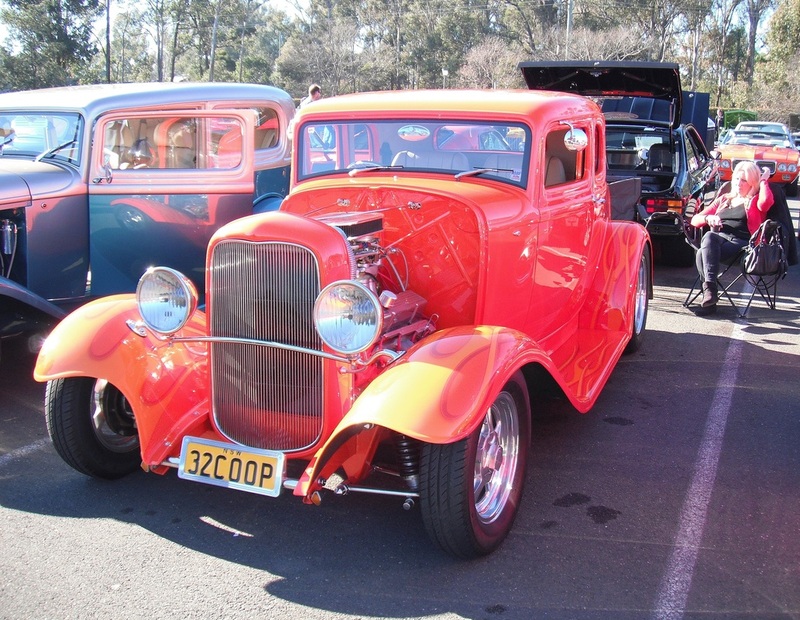 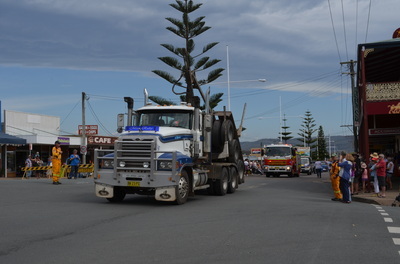 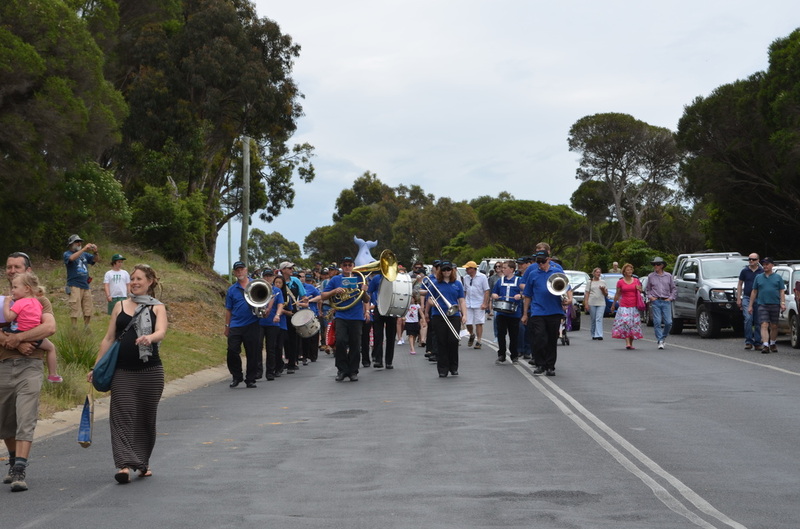 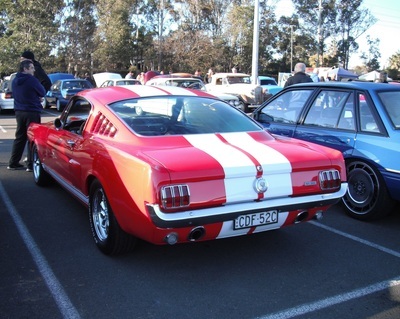 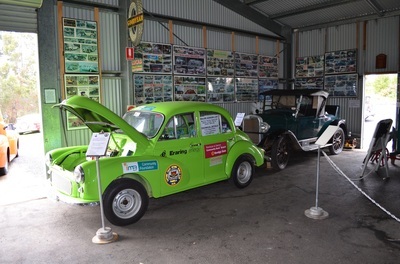 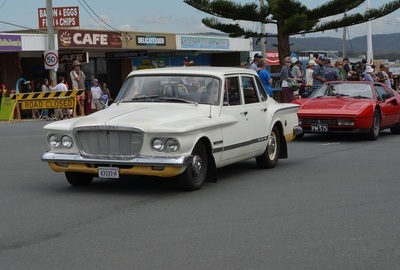 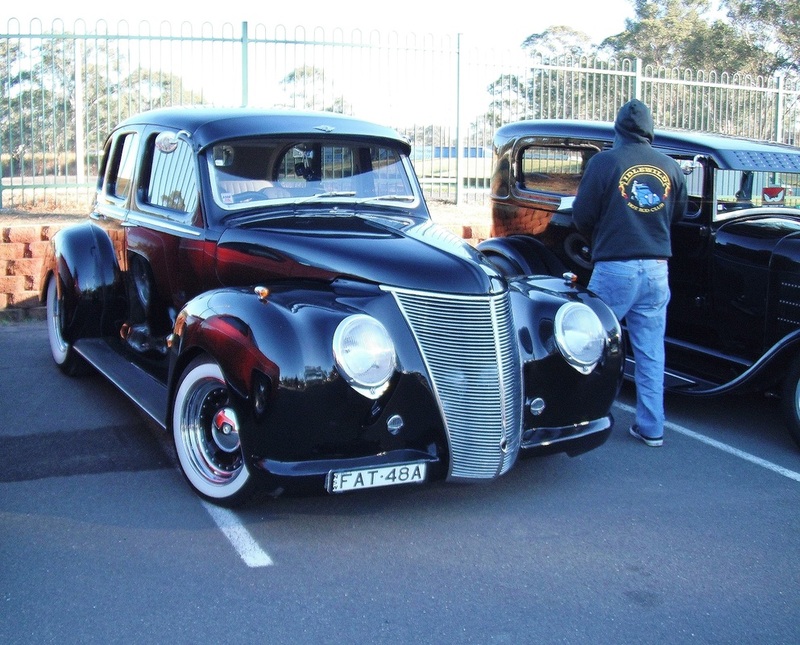 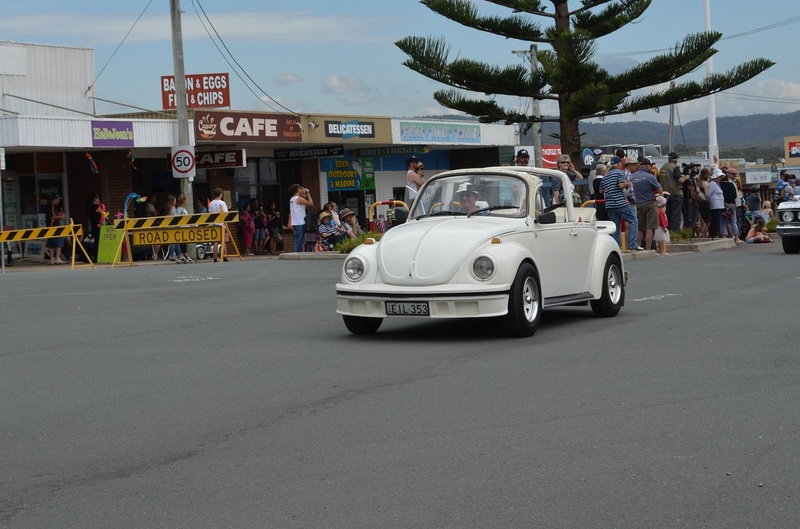 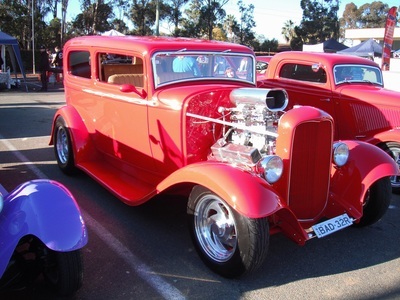 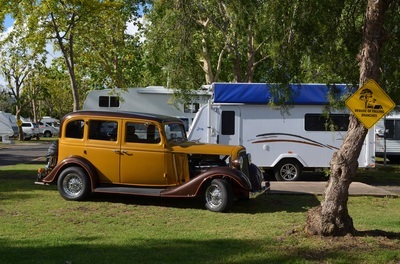 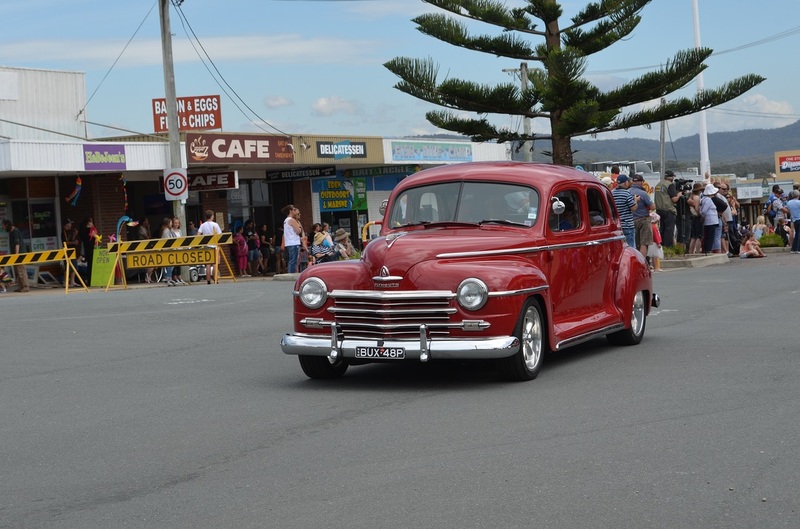 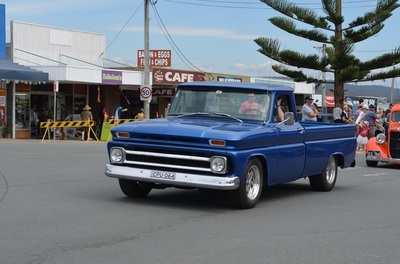 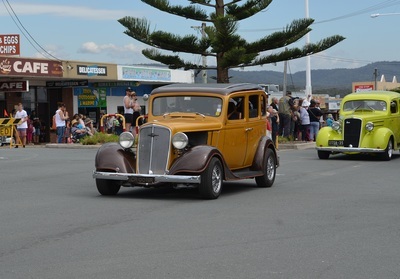 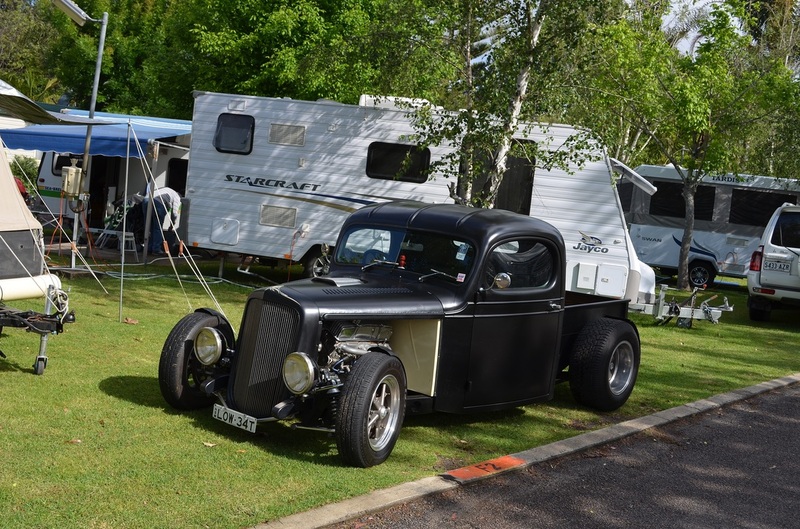 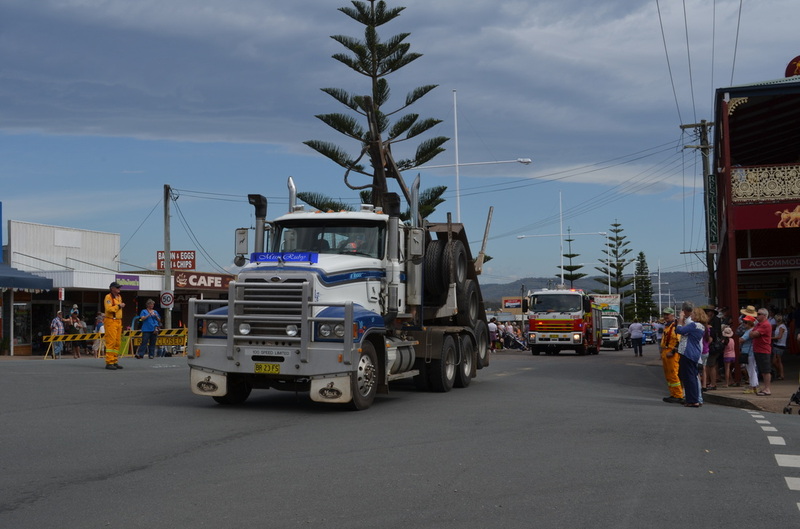 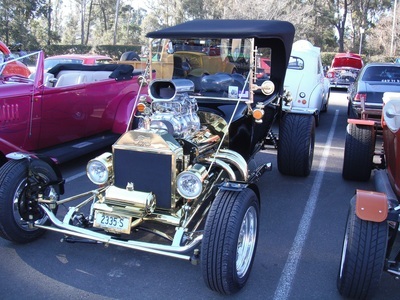 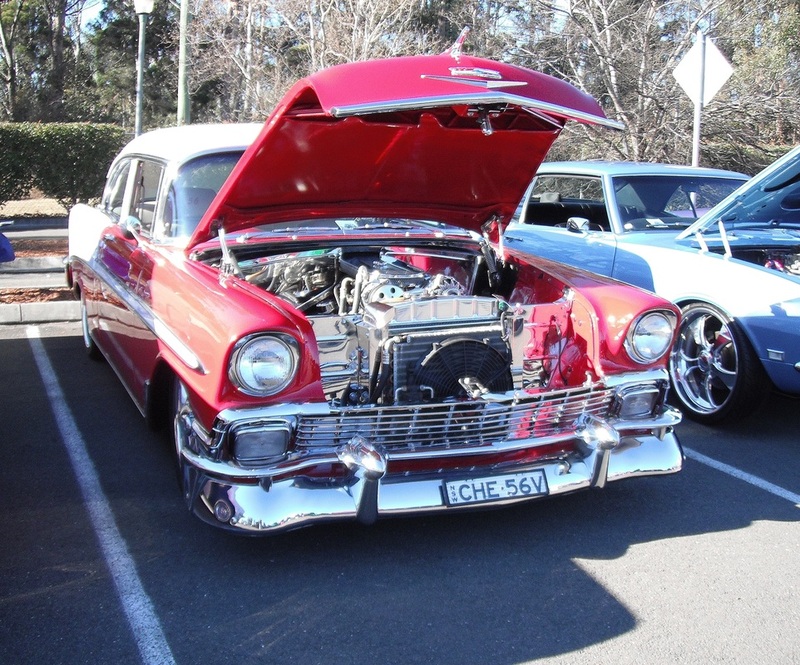 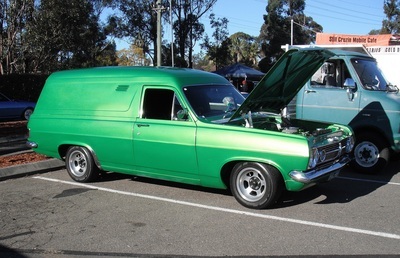 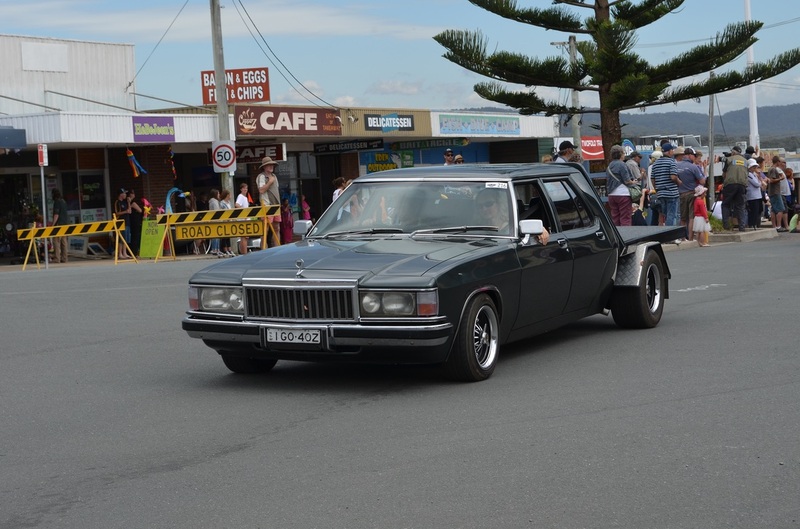 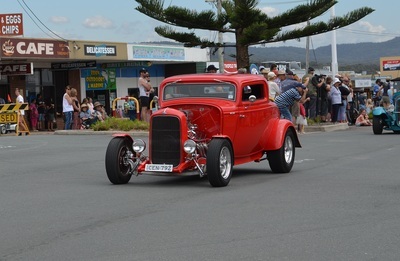 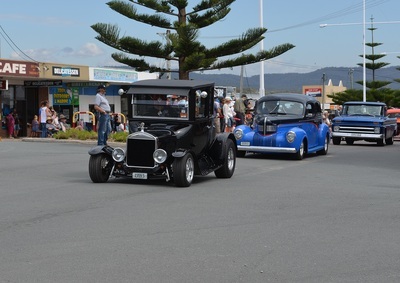 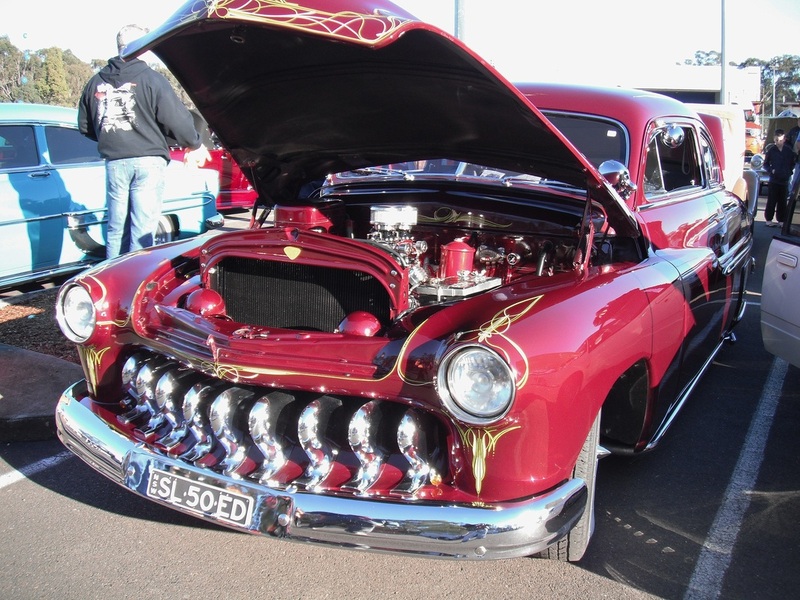 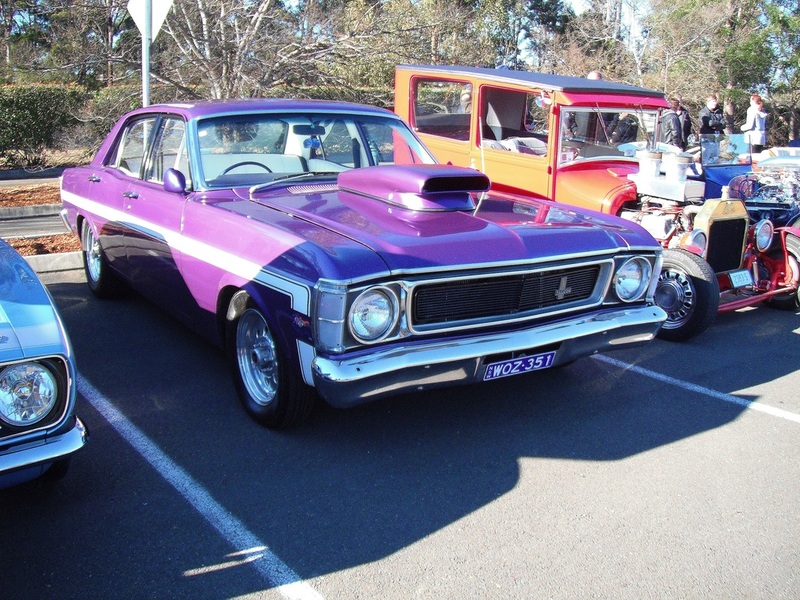 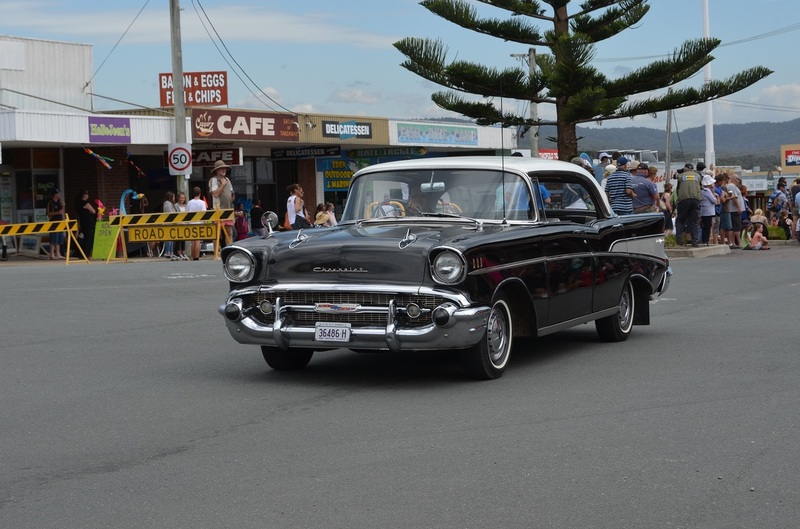 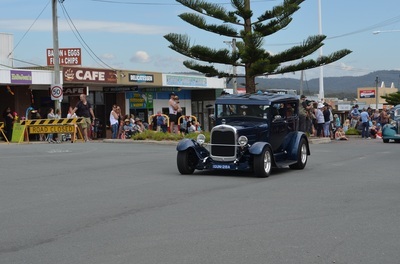 On Sunday we had another Show and Shine at the wharf then back to the Caravan Park for a BBQ lunch and presentation. Glenda was lucky enough to end up in the top 5 with the new rod. 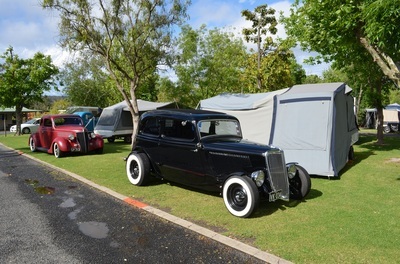 A great weekend.